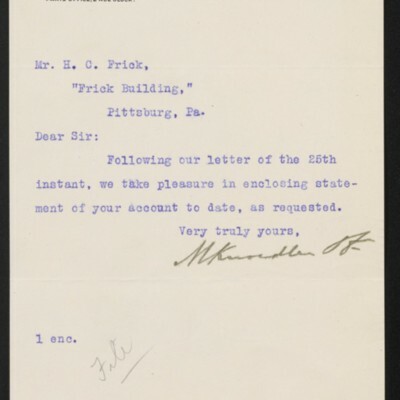 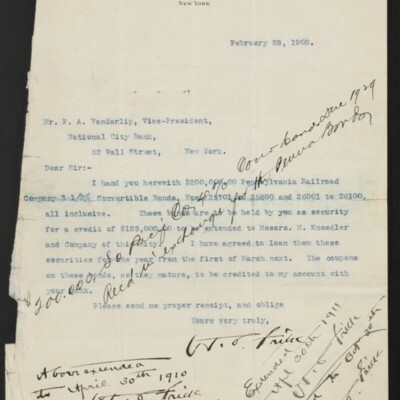 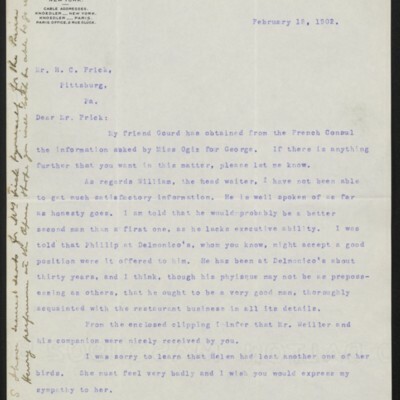 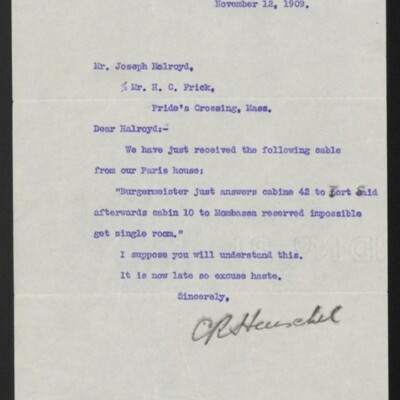 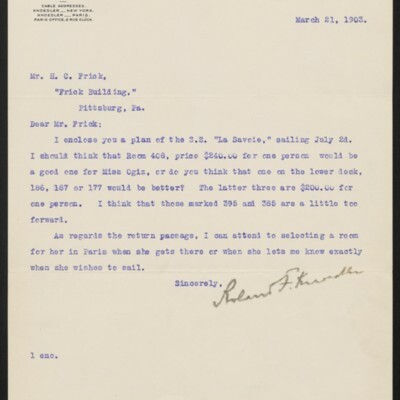 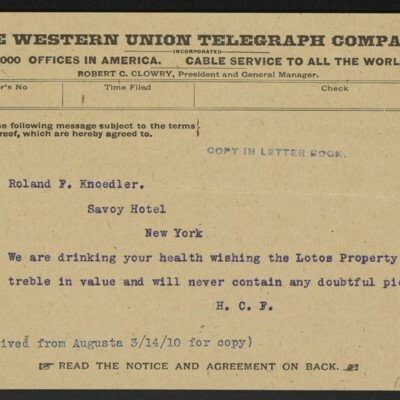 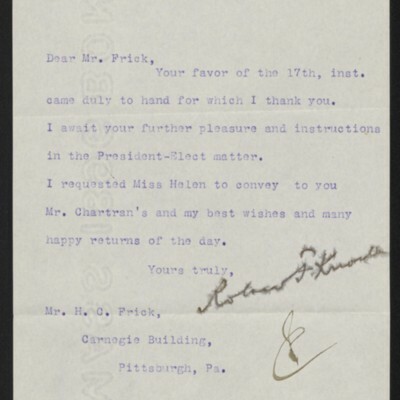 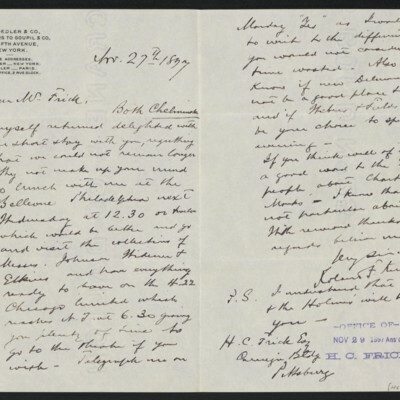 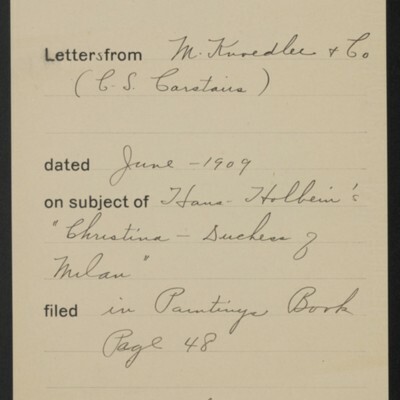 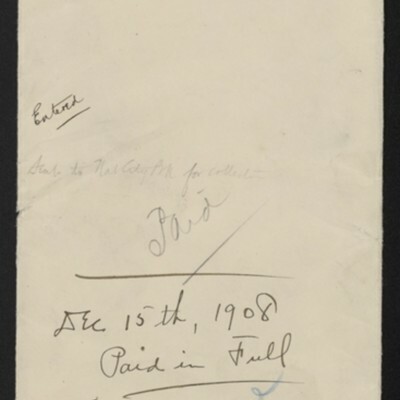 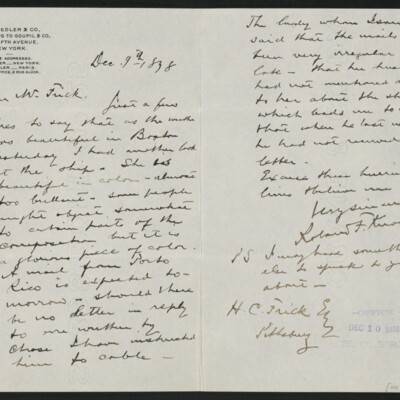 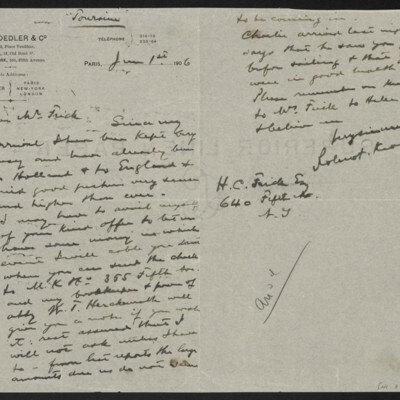 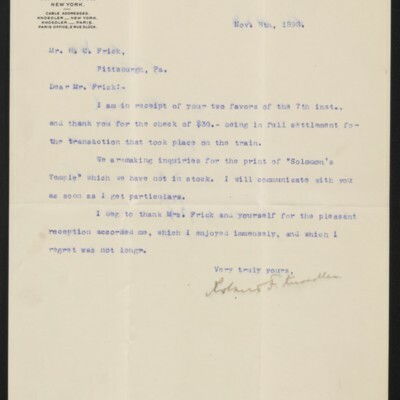 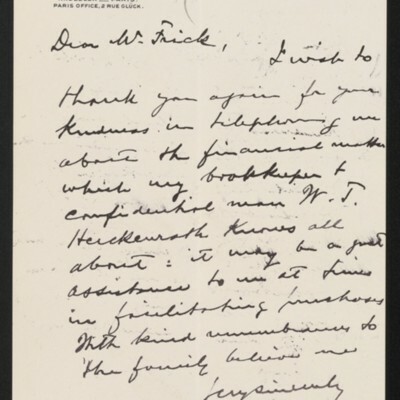 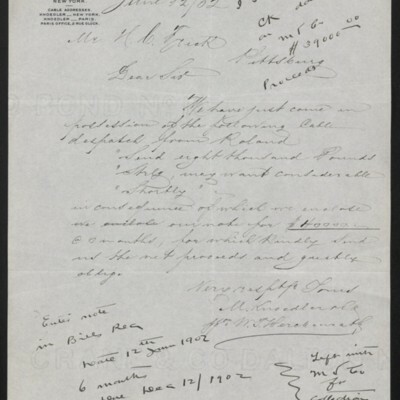 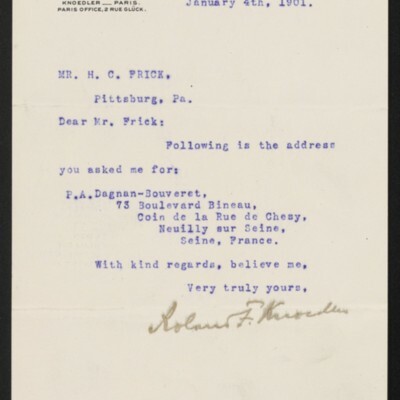 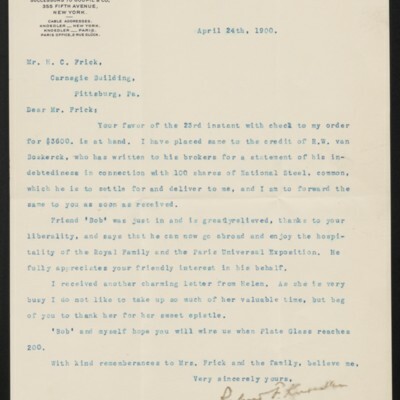 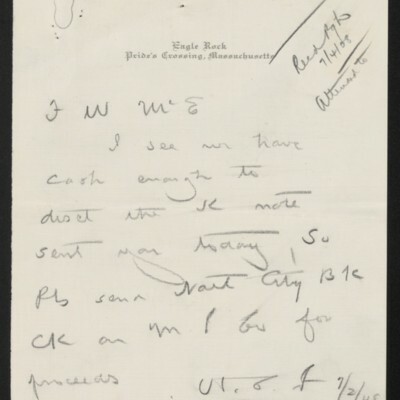 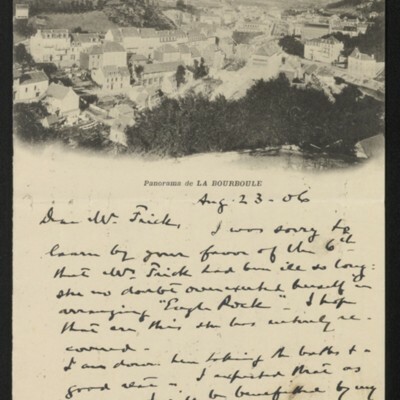 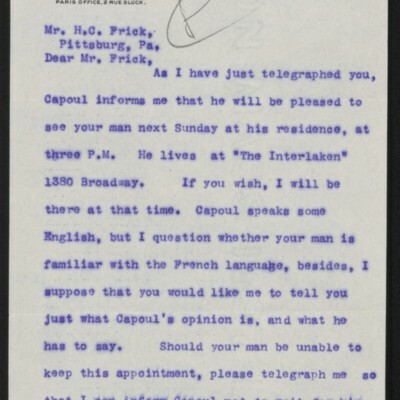 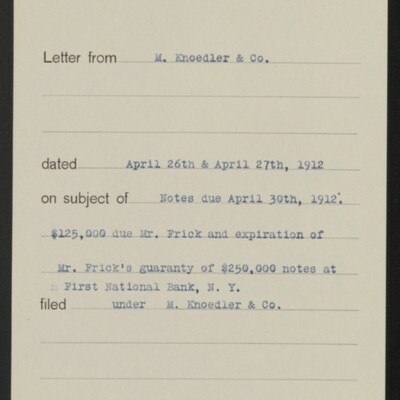 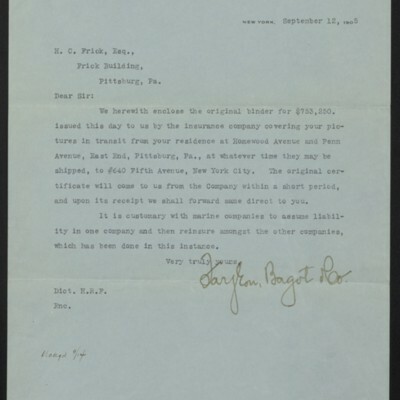 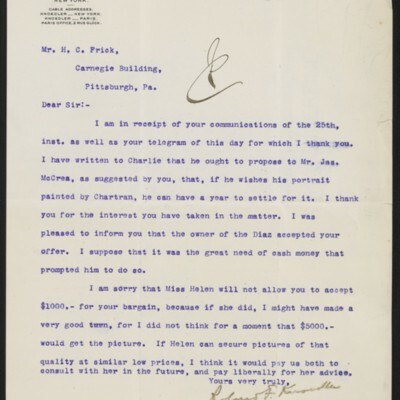 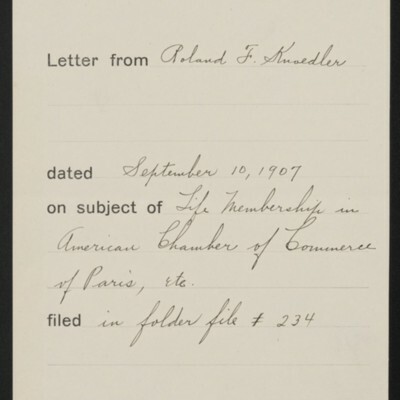 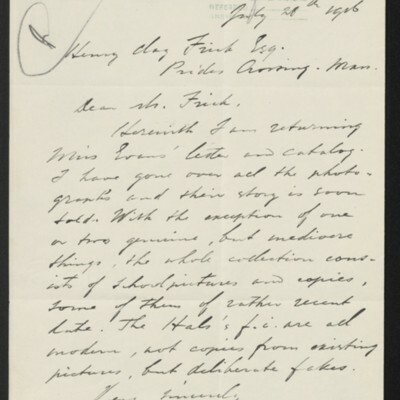 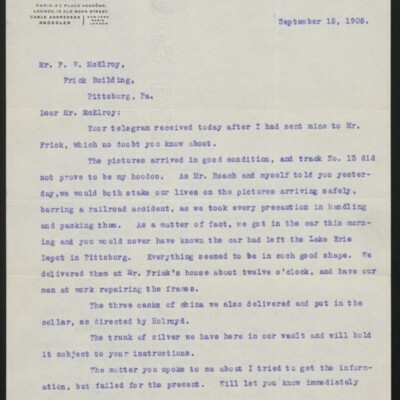 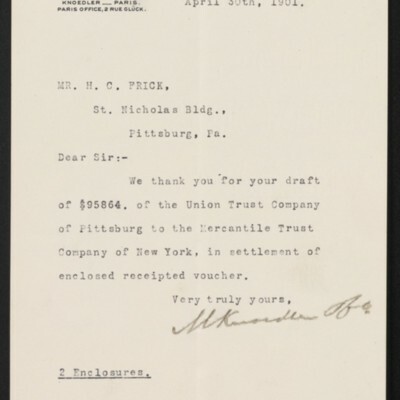 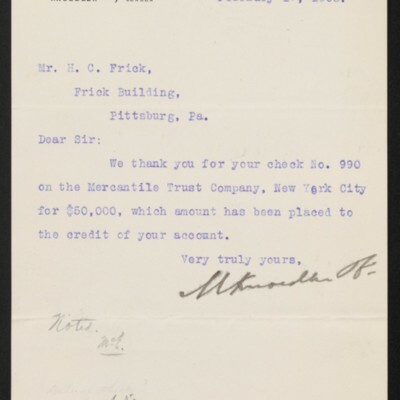 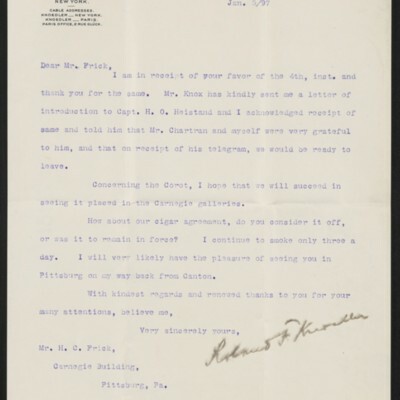 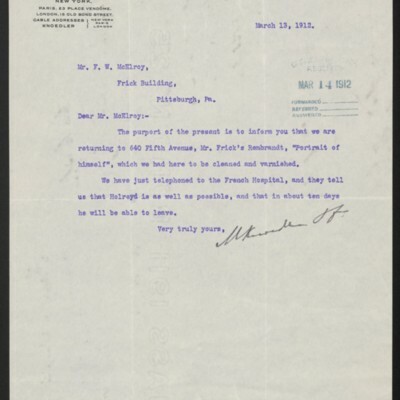 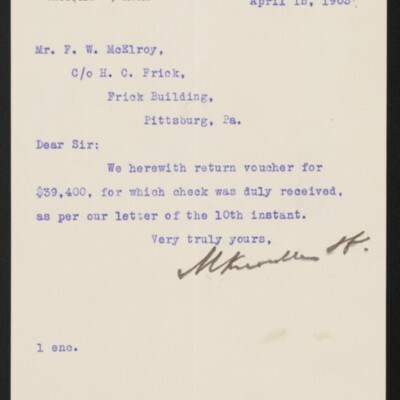 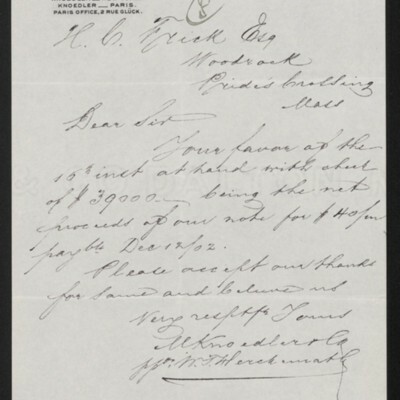 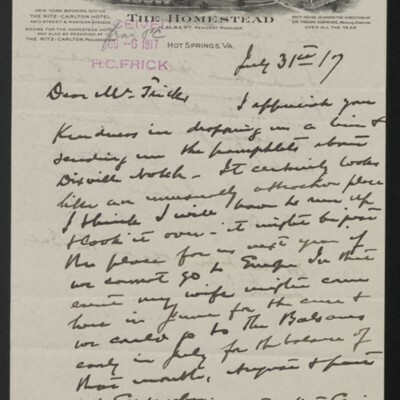 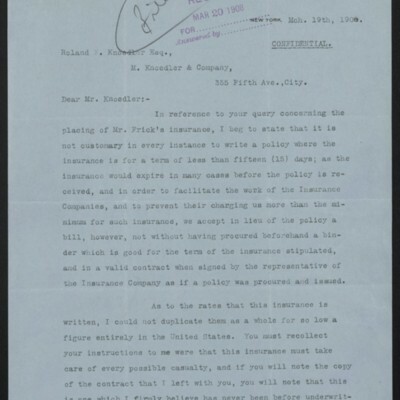 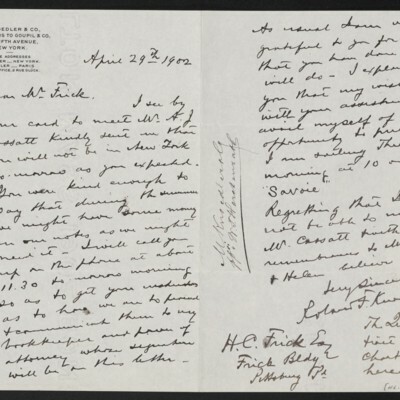 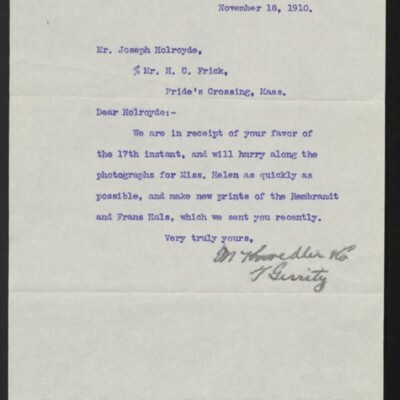 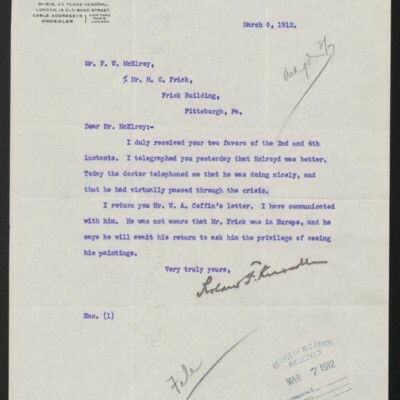 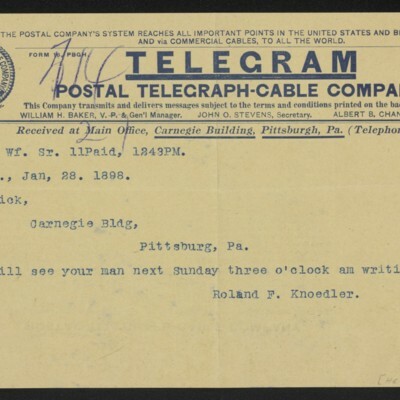 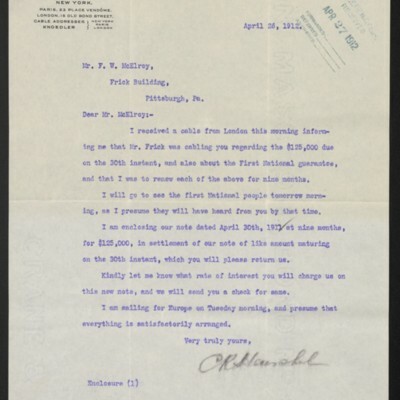 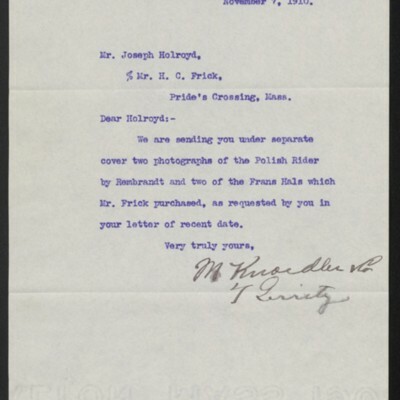 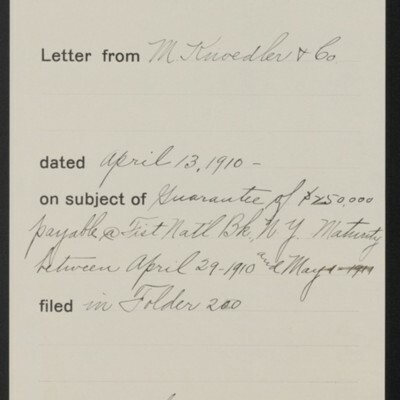 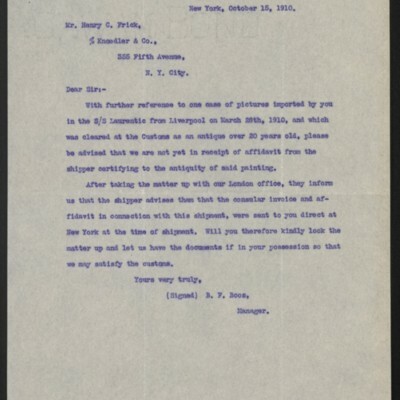 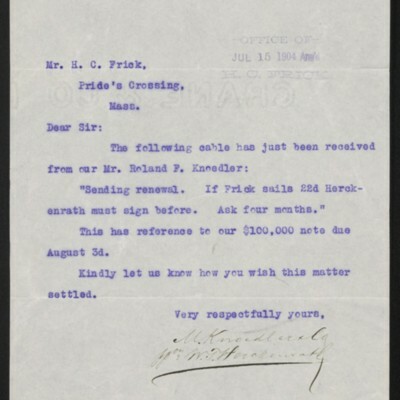 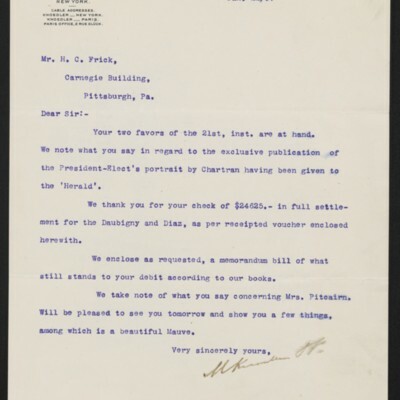 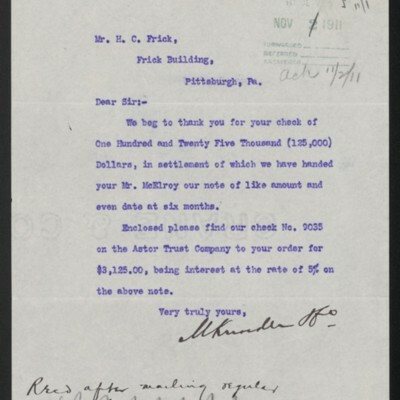 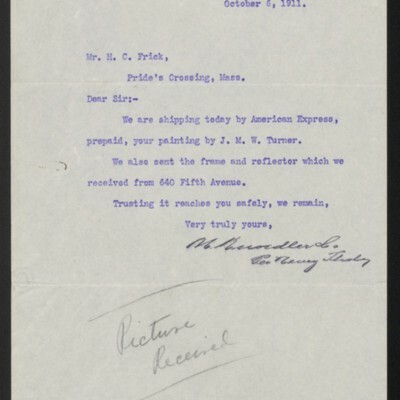 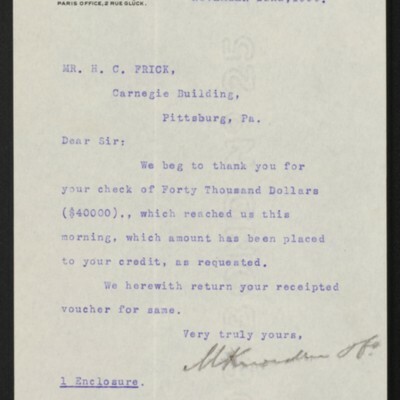 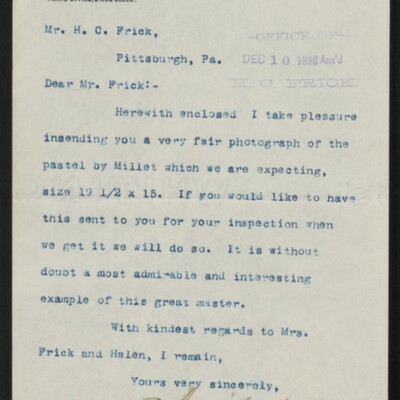 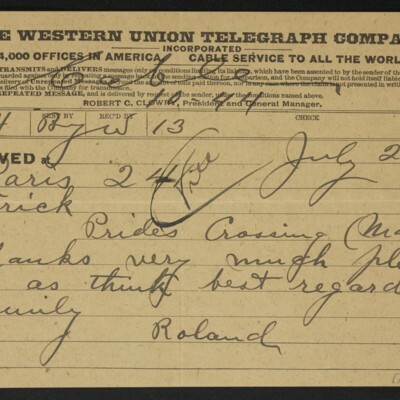 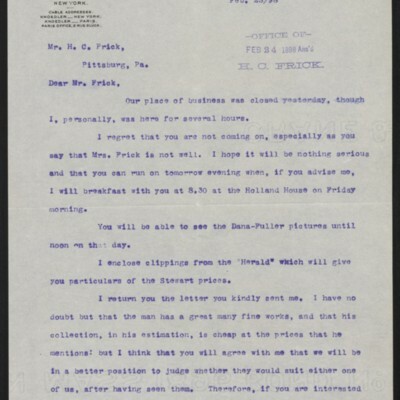 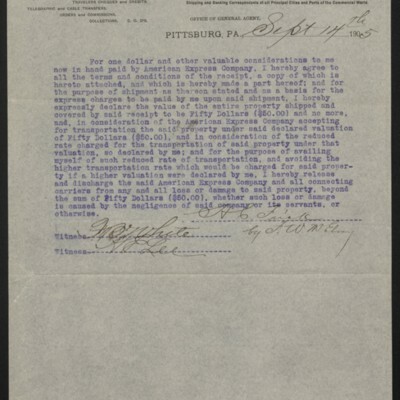 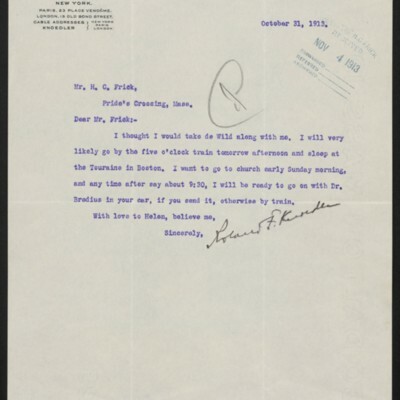 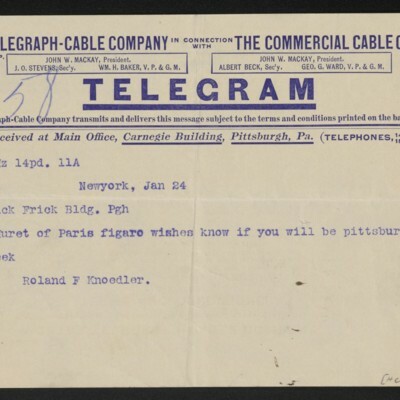 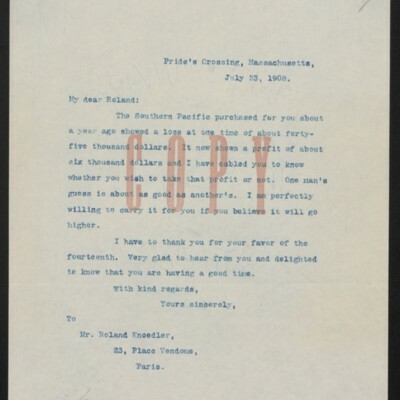 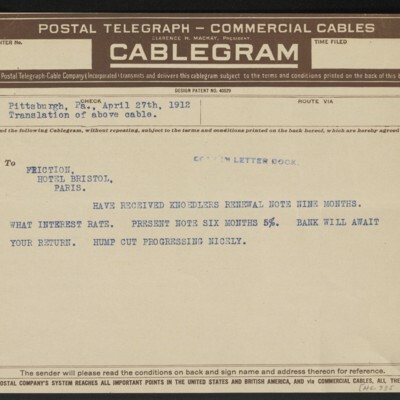 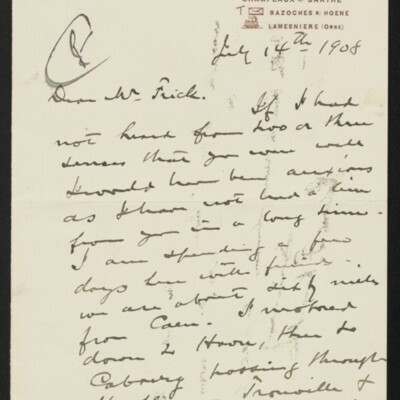 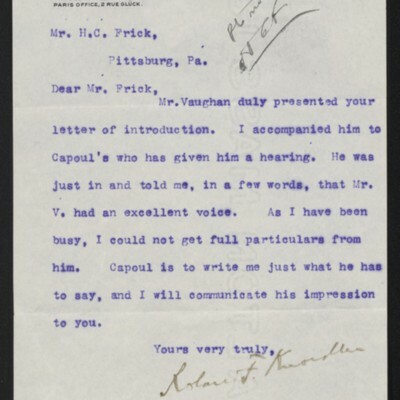 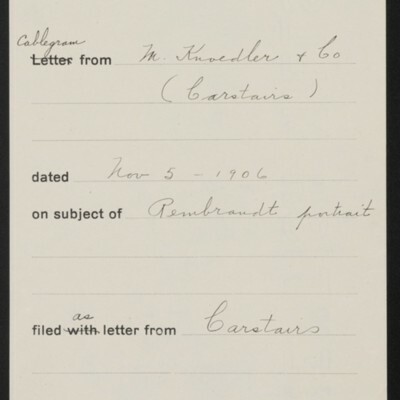 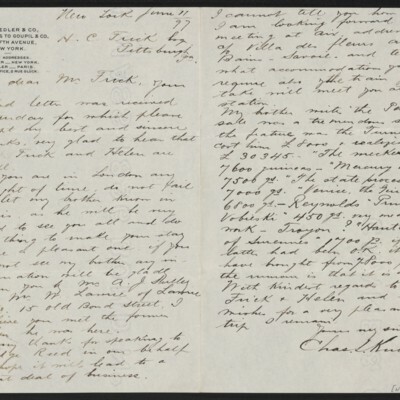 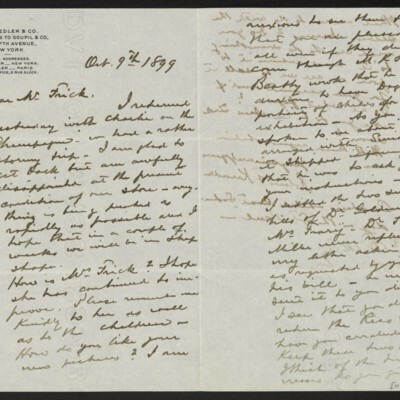 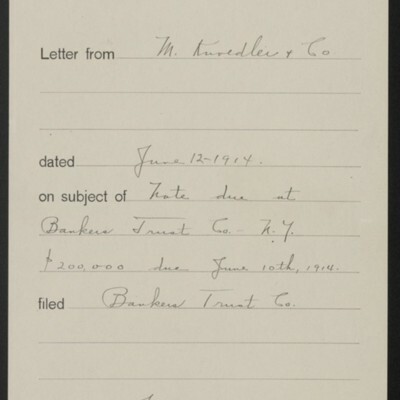 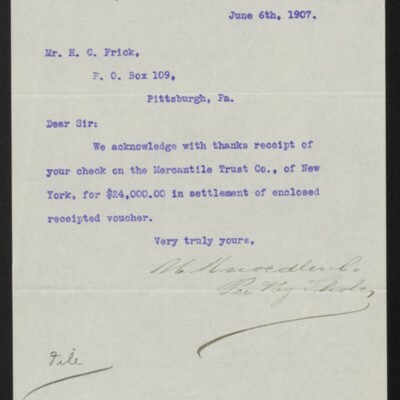 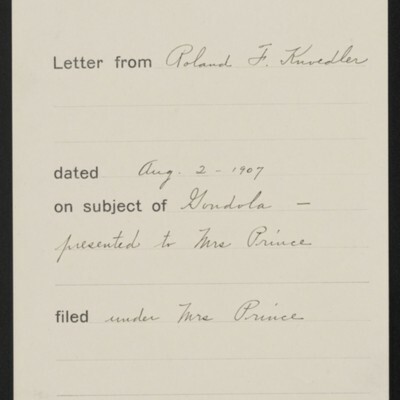 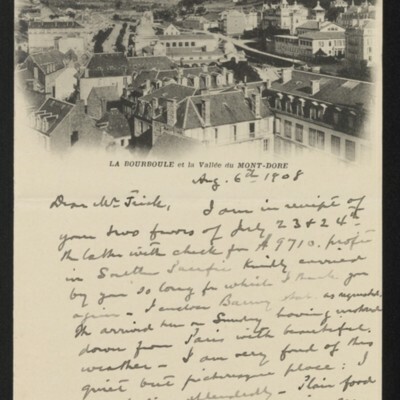 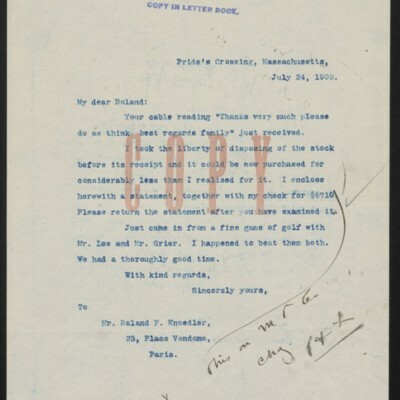 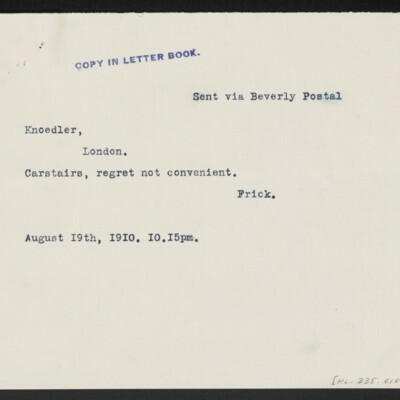 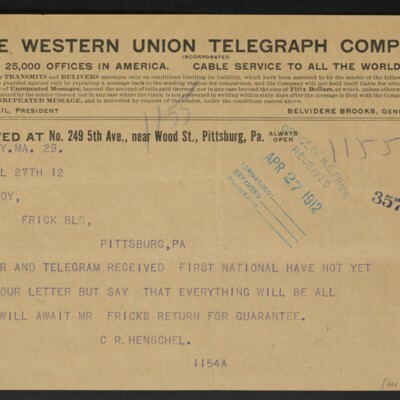 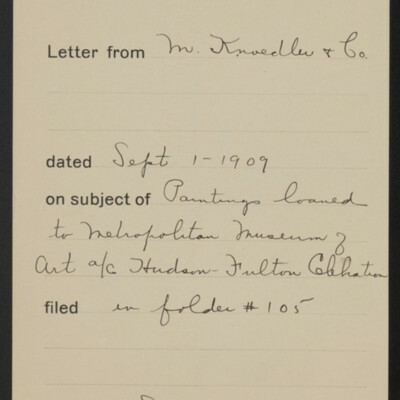 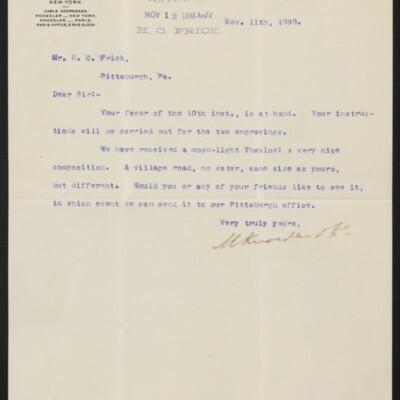 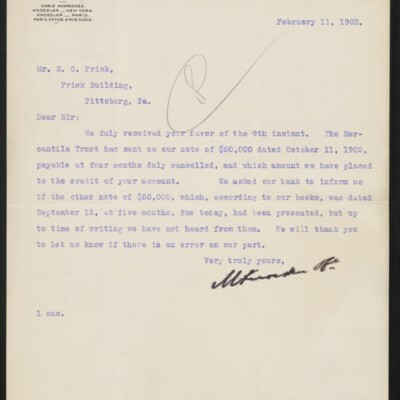 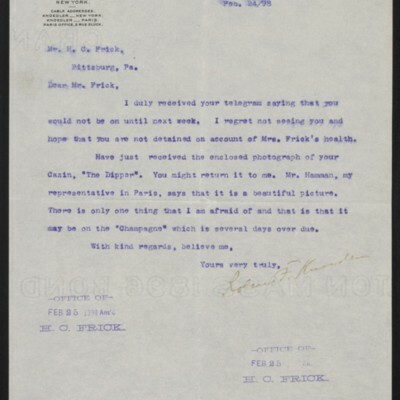 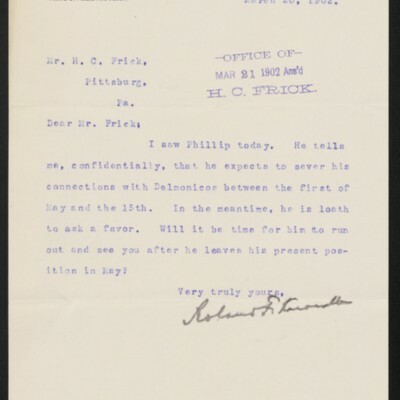 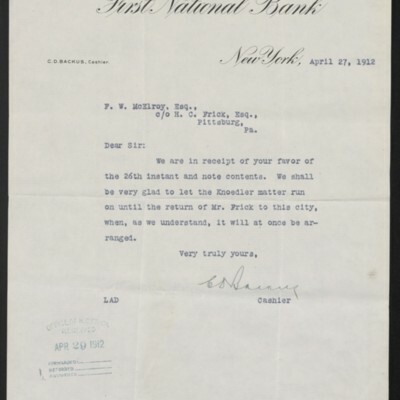 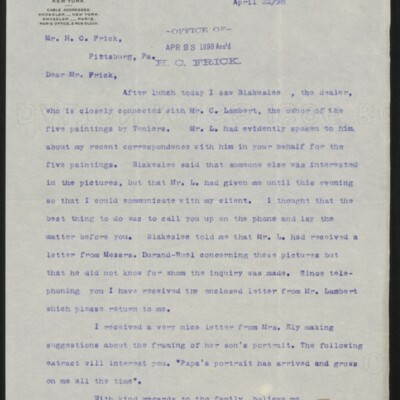 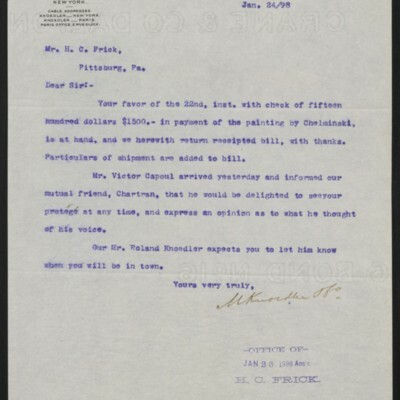 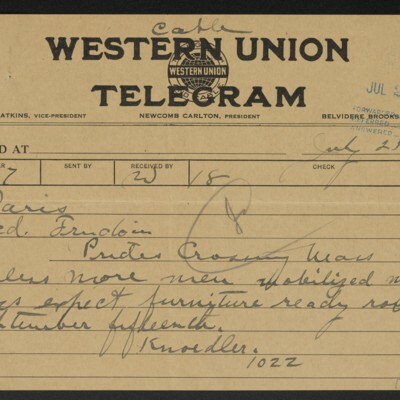 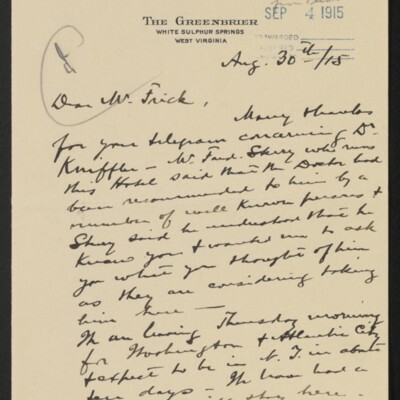 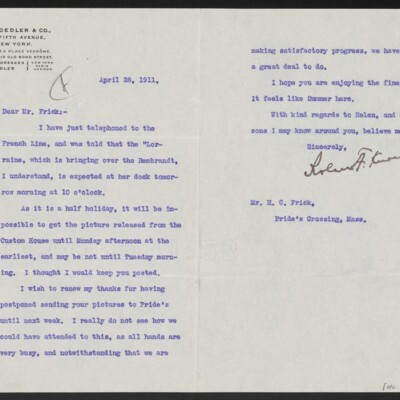 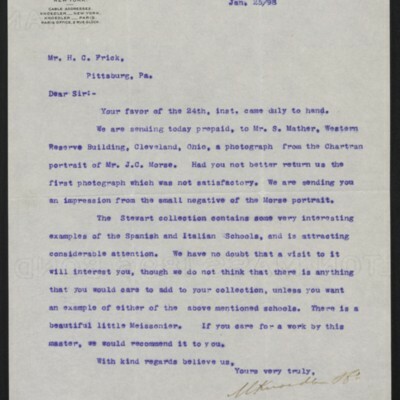 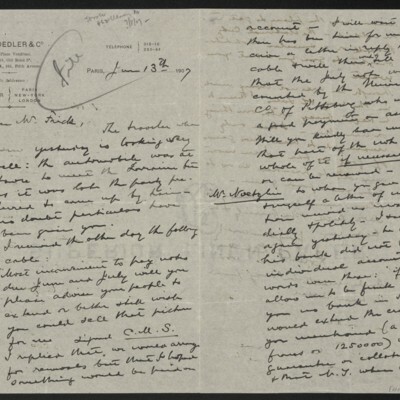 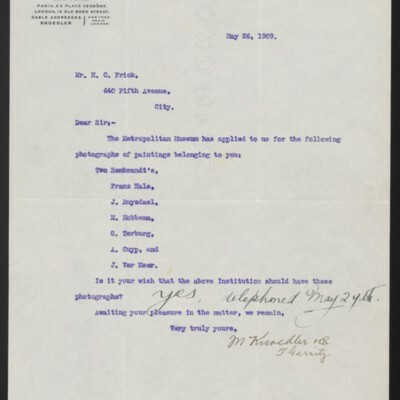 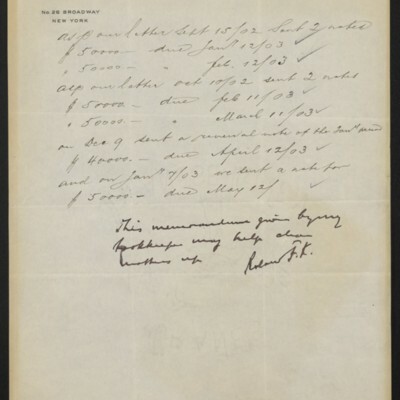 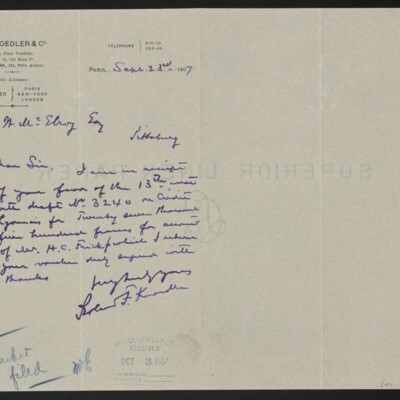 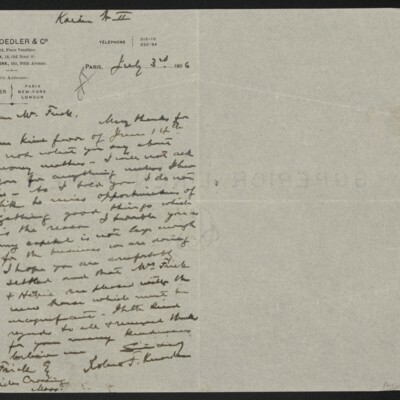 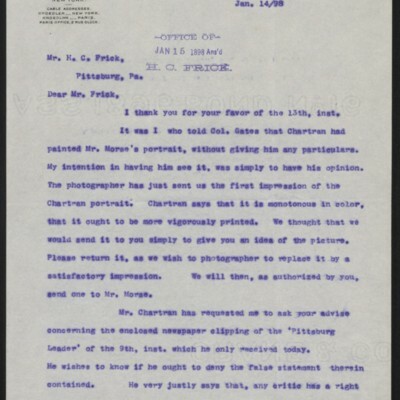 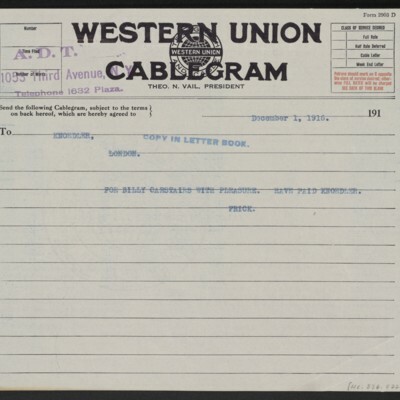 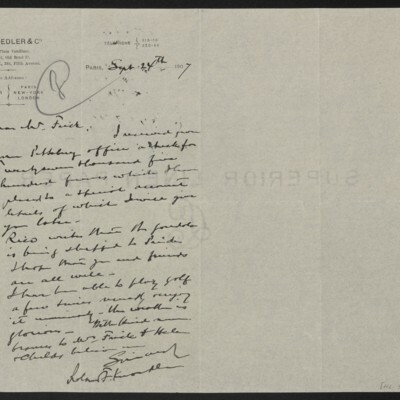 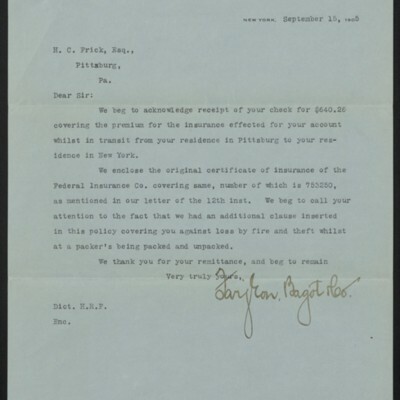 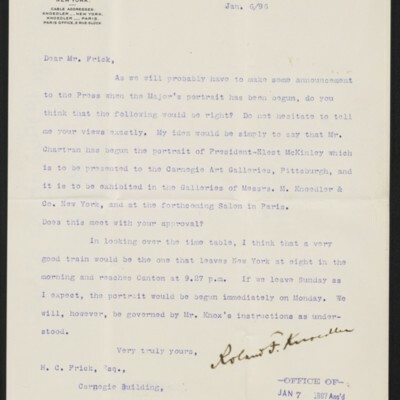 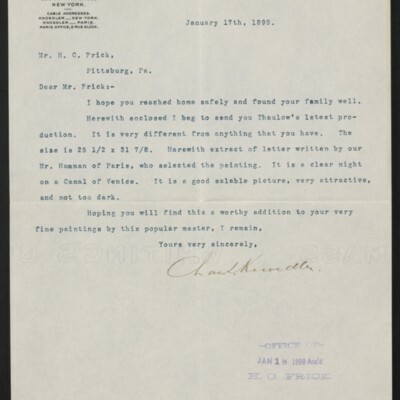 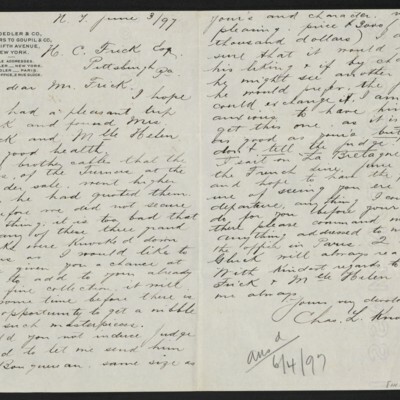 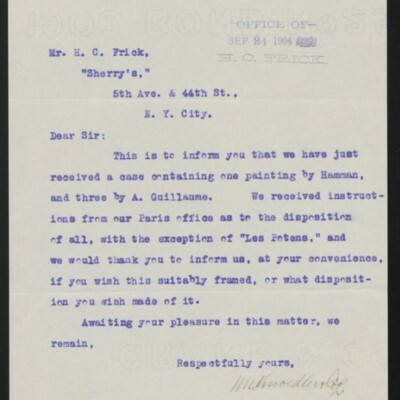 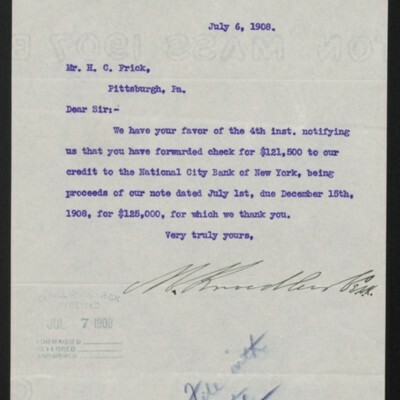 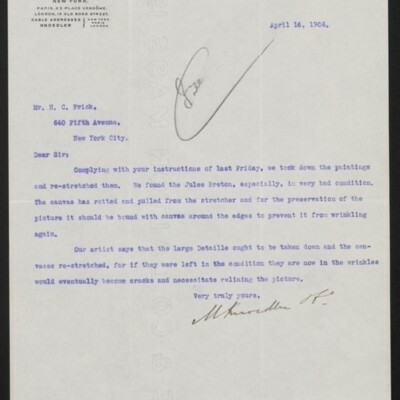 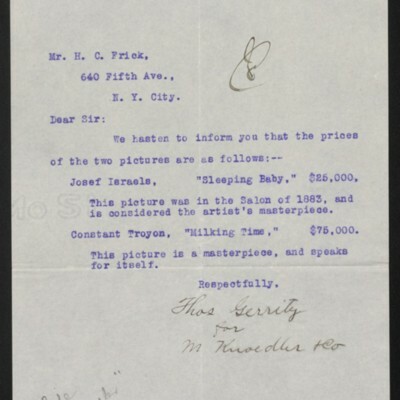 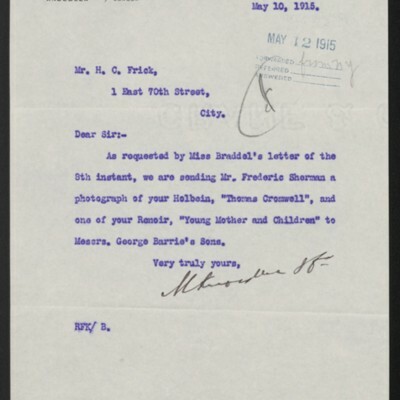 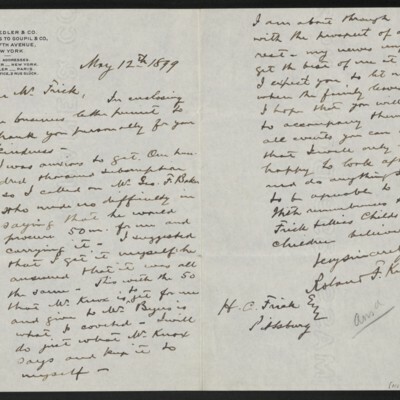 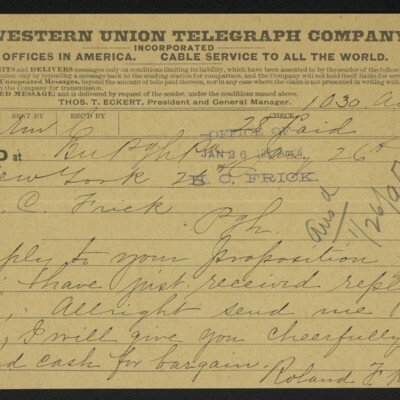 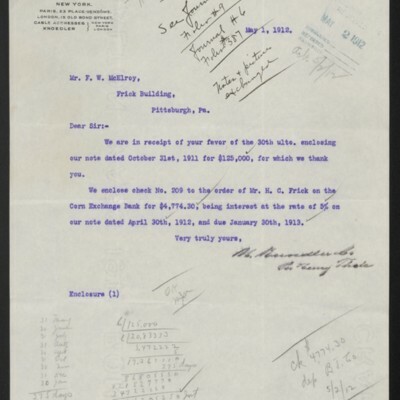 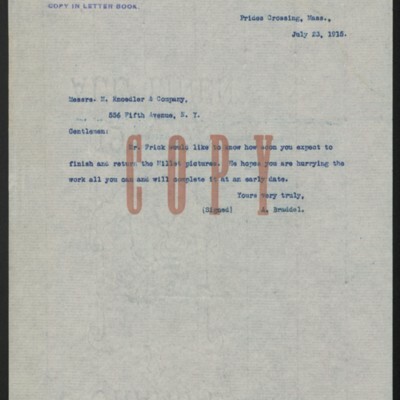 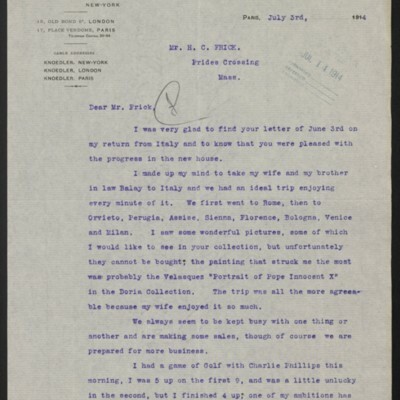 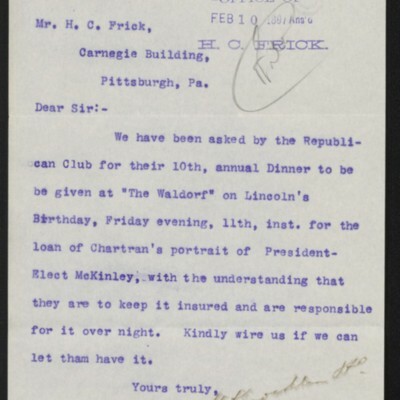 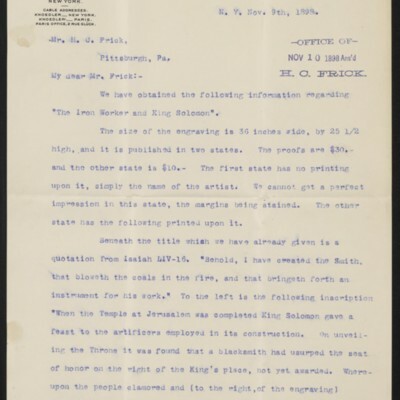 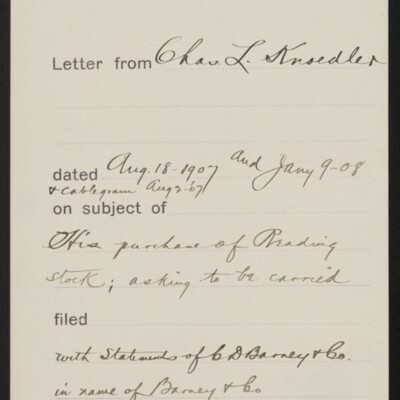 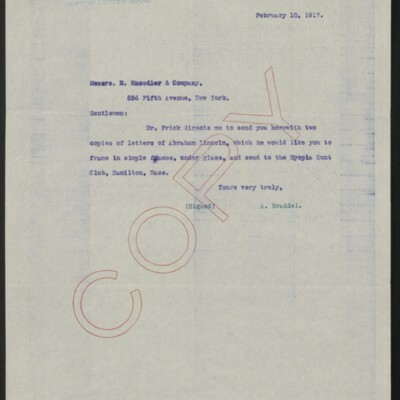 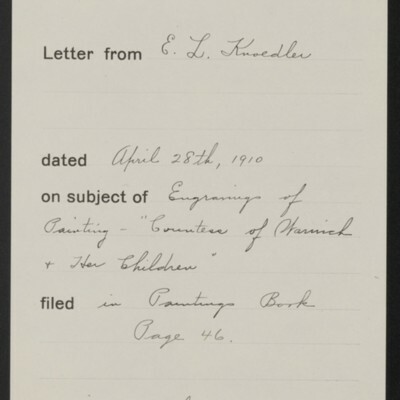 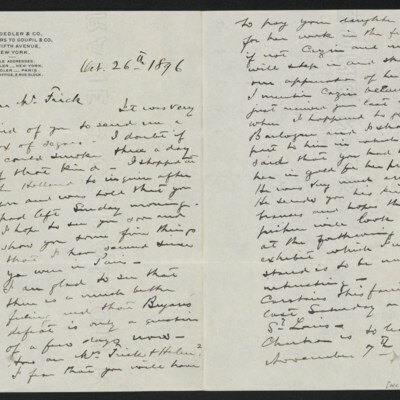 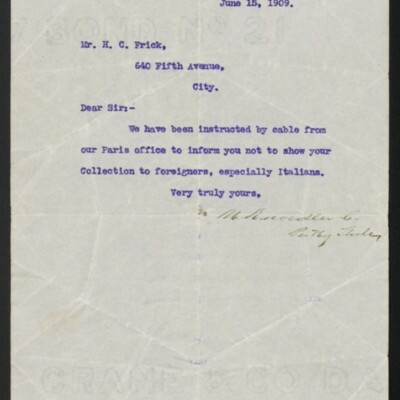 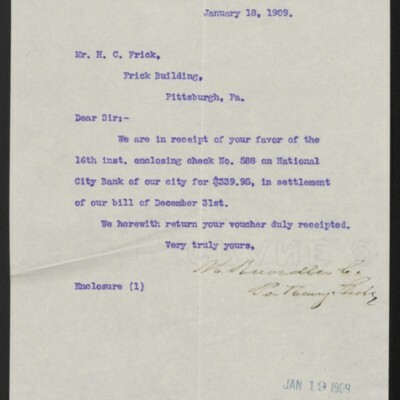 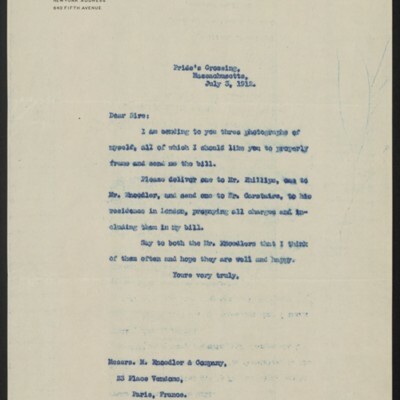 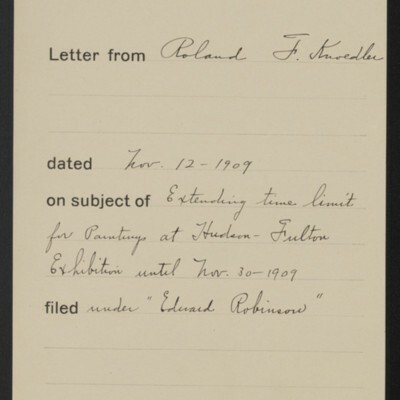 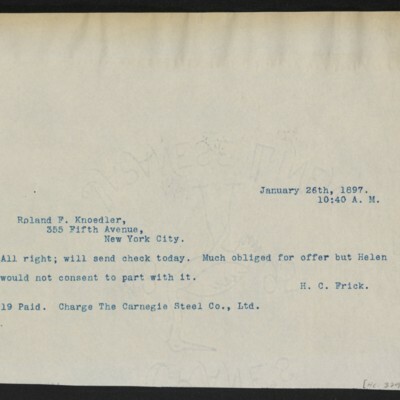 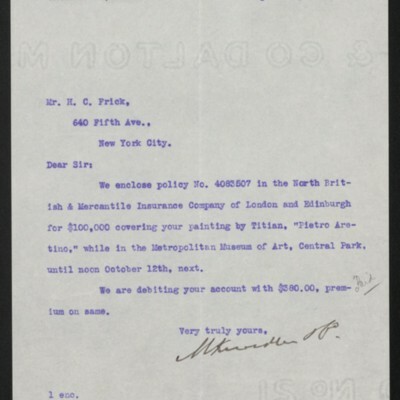 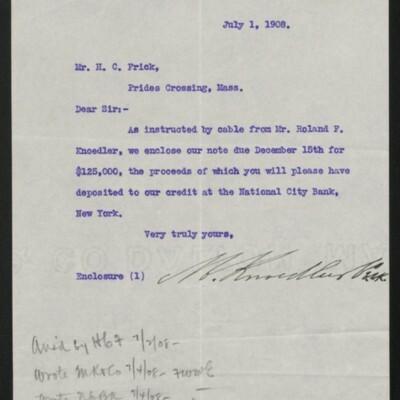 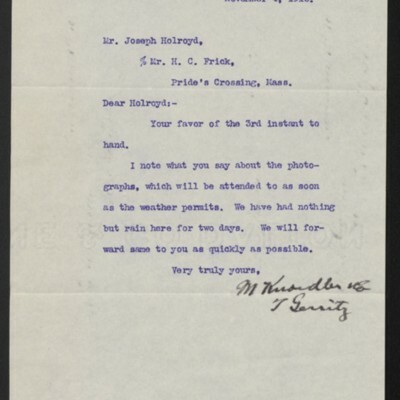 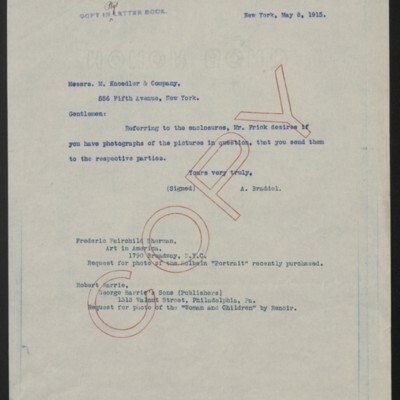 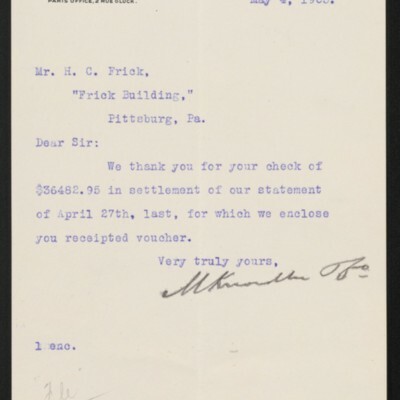 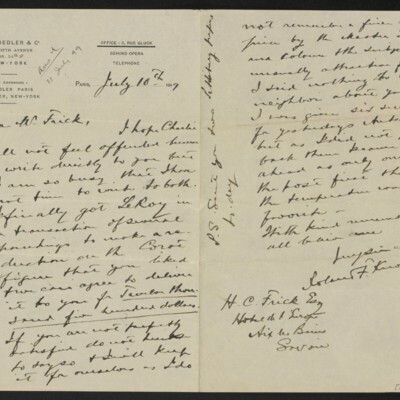 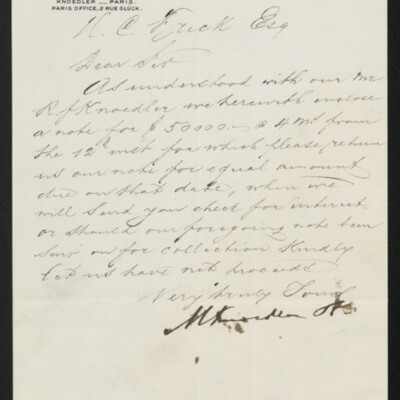 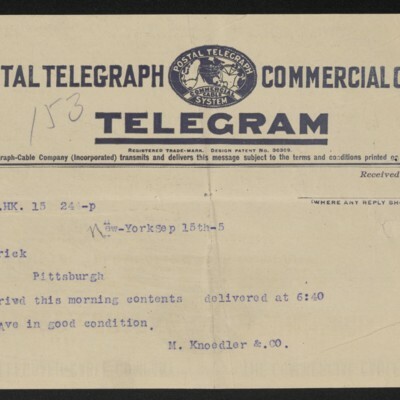 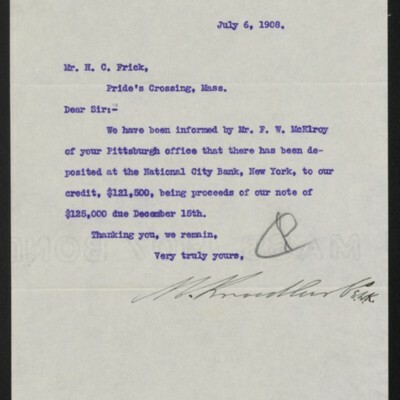 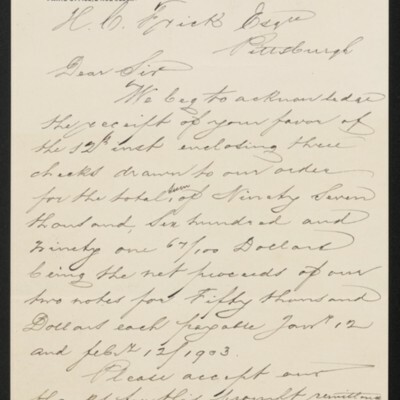 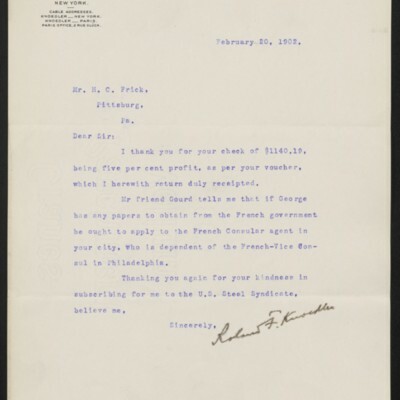 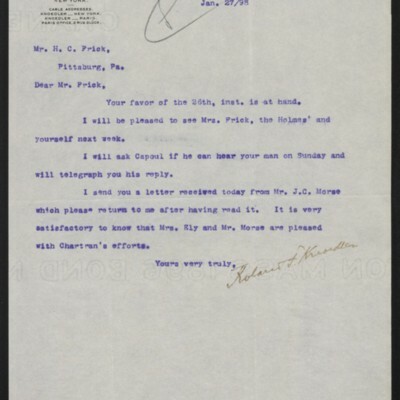 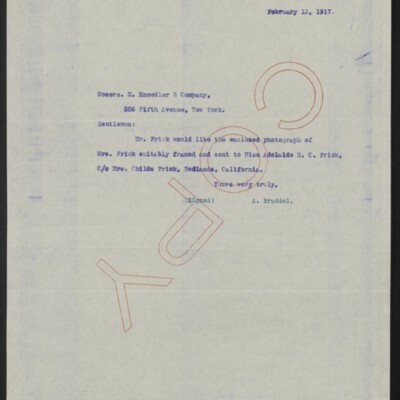 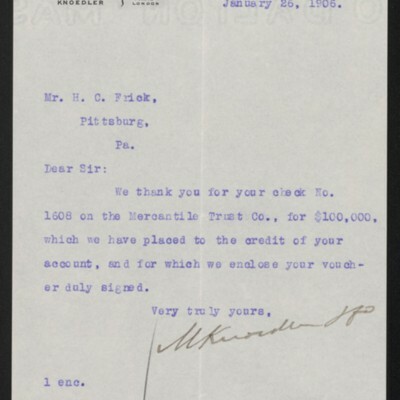 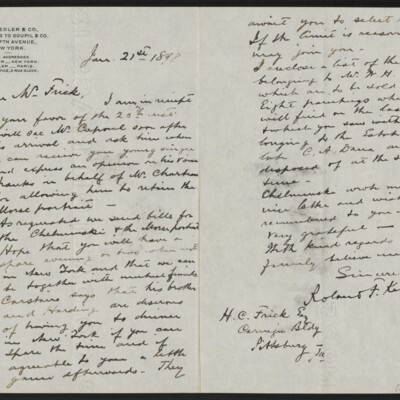 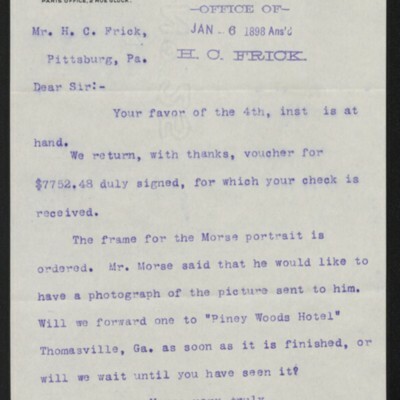 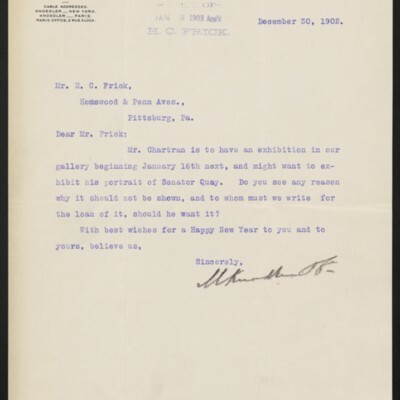 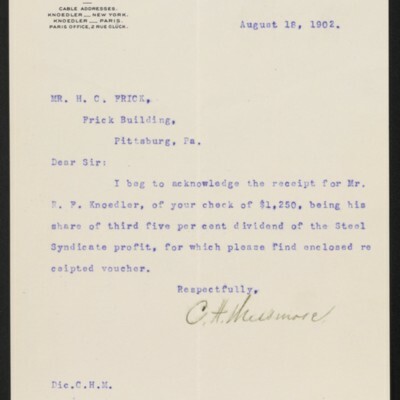 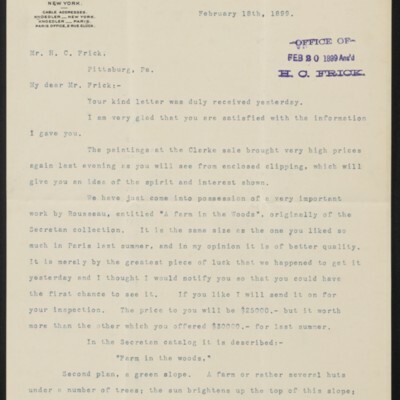 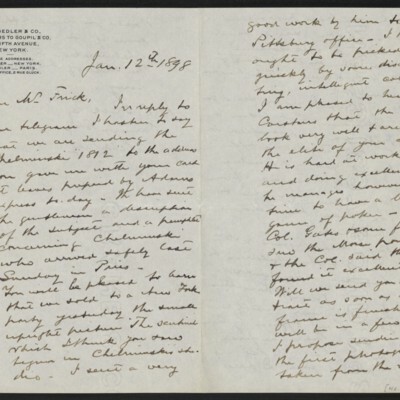 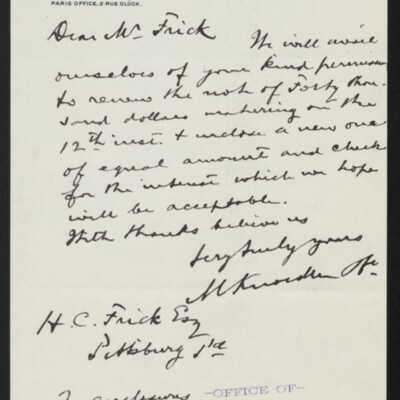 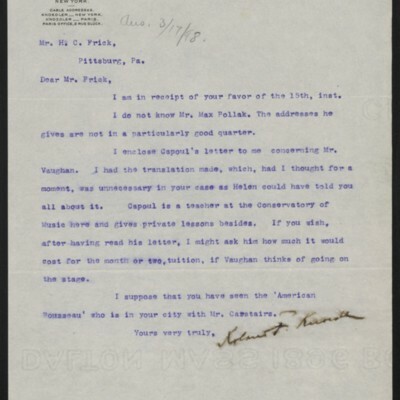 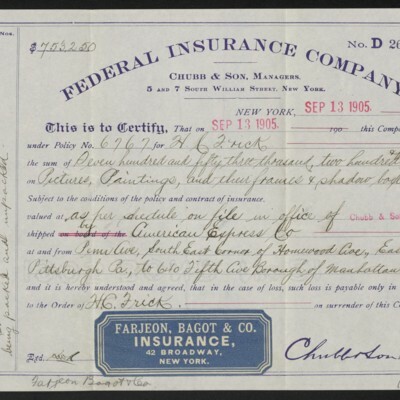 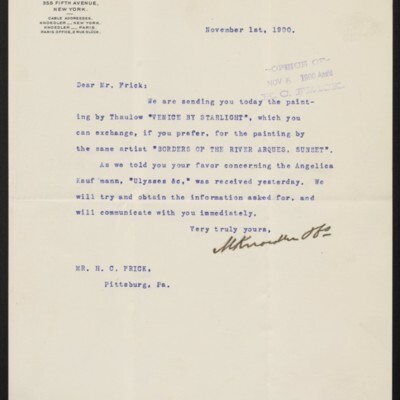 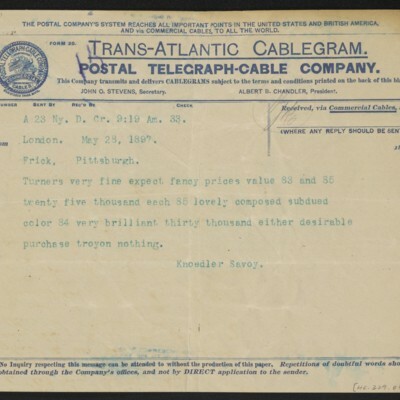 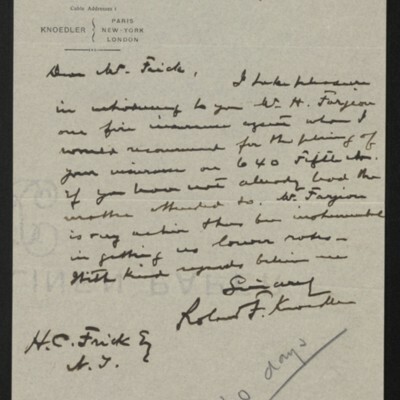 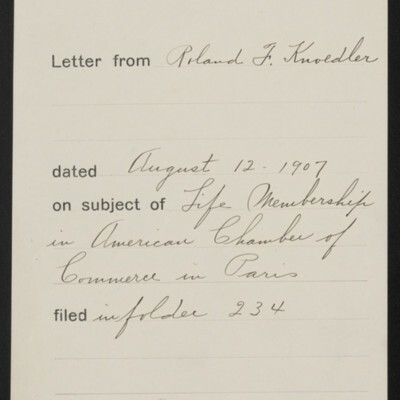 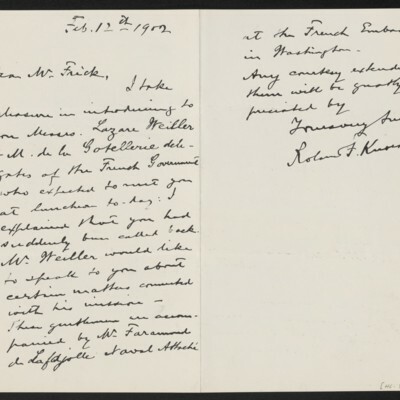 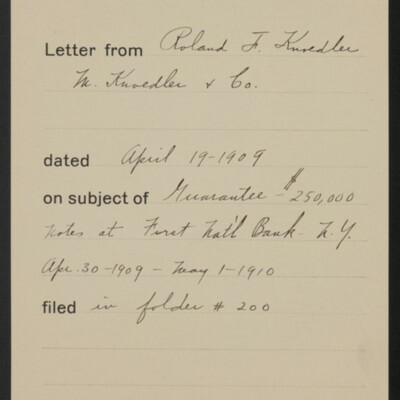 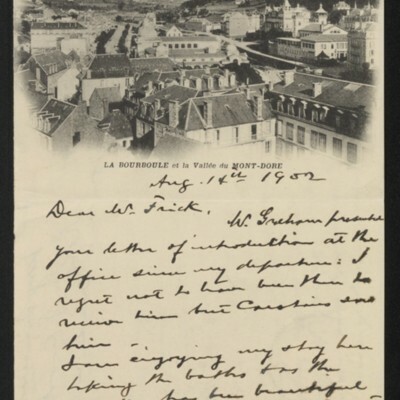 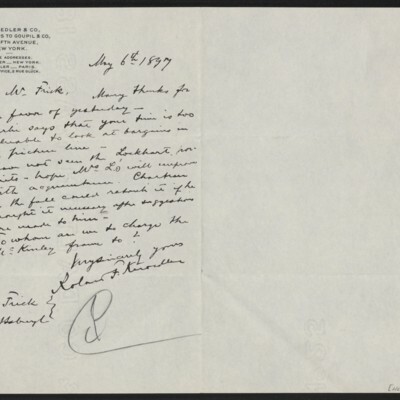 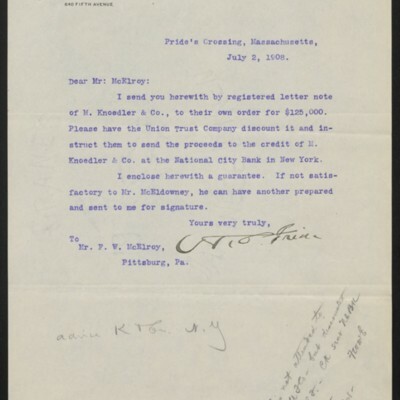 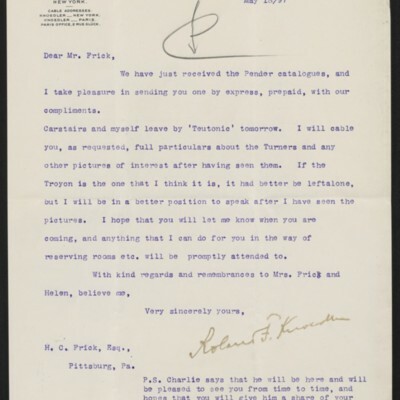 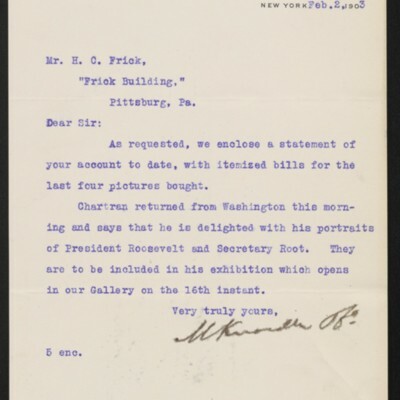 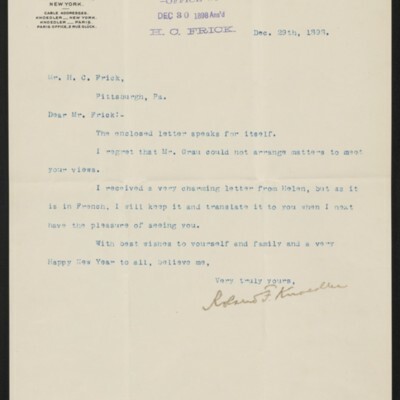 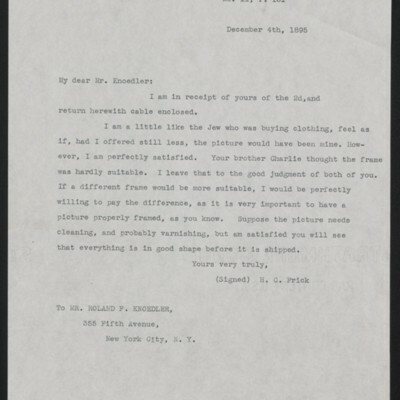 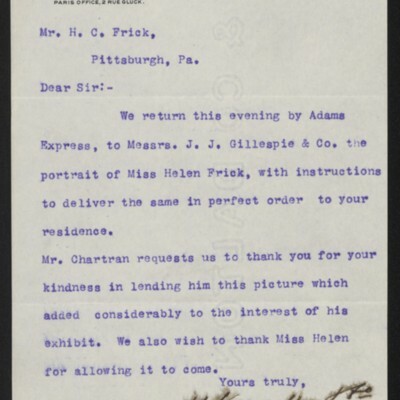 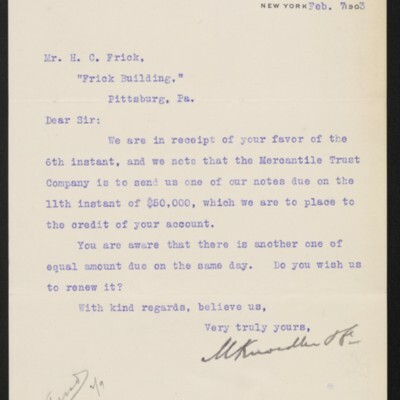 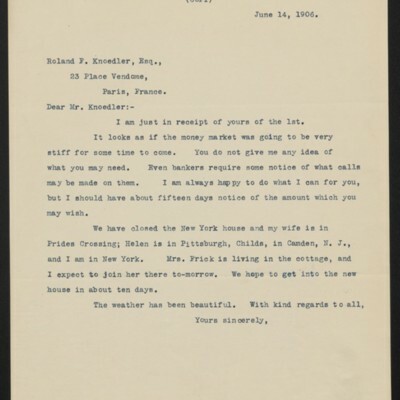 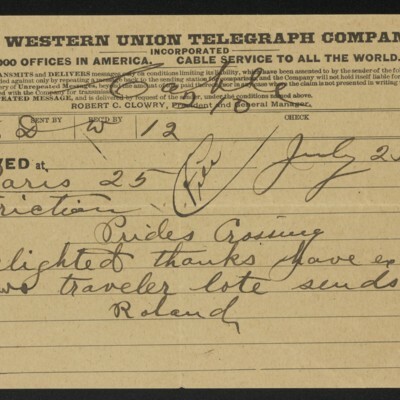 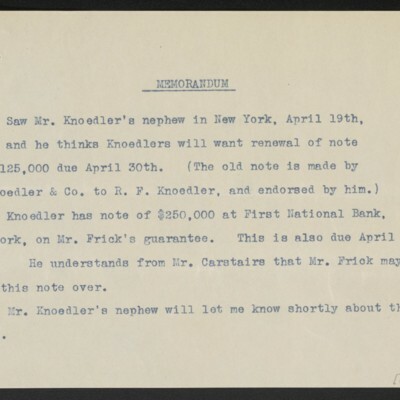 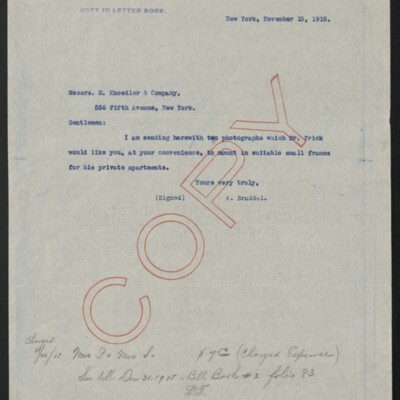 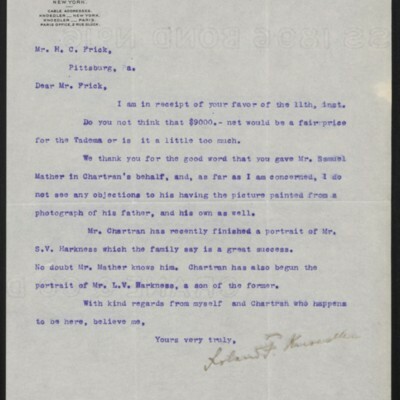 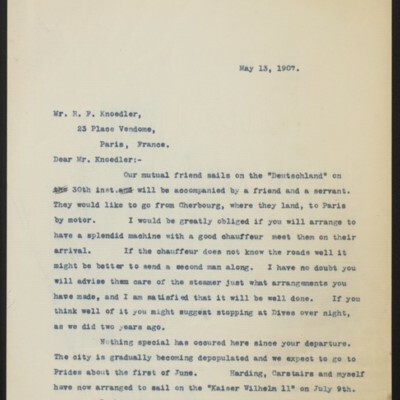 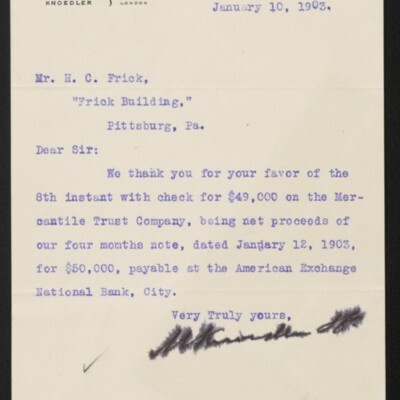 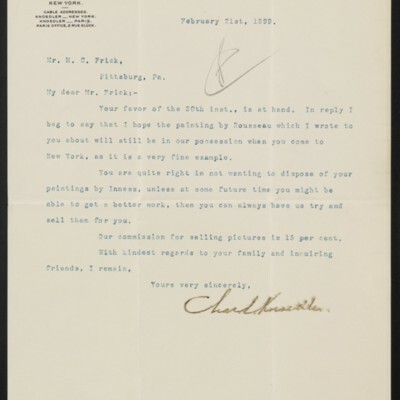 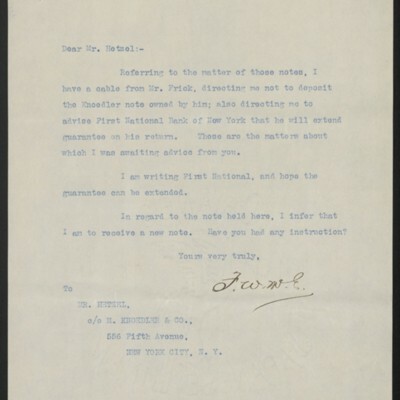 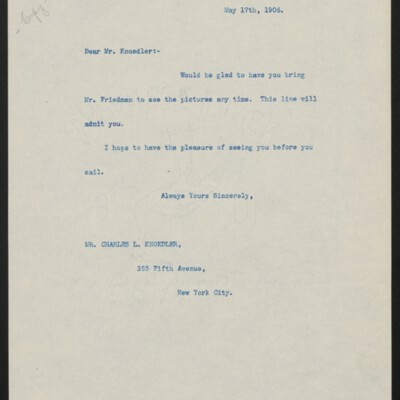 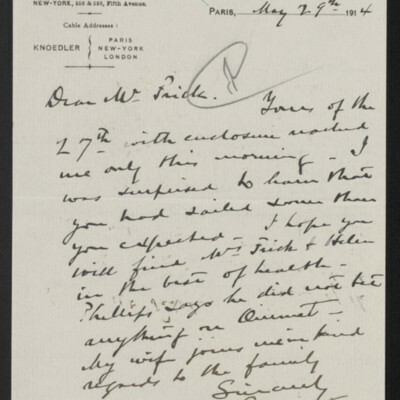 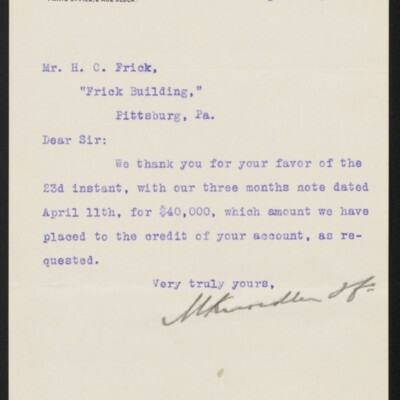 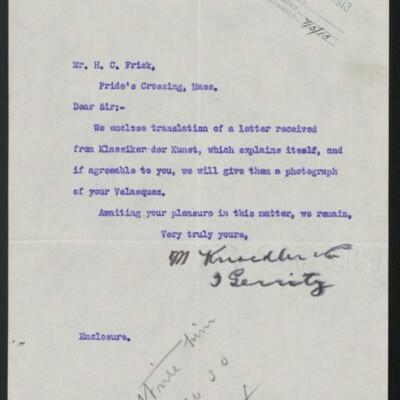 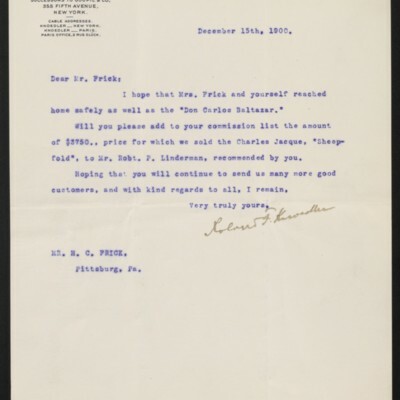 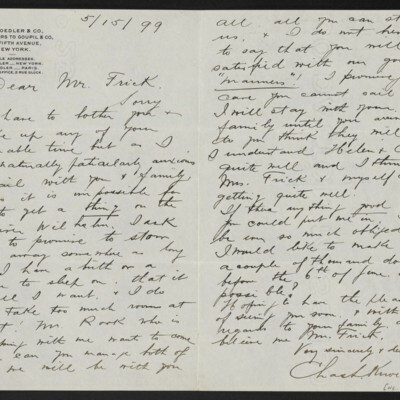 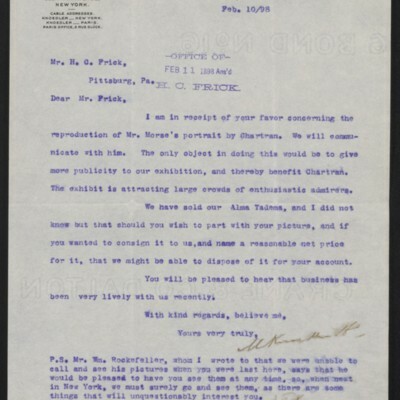 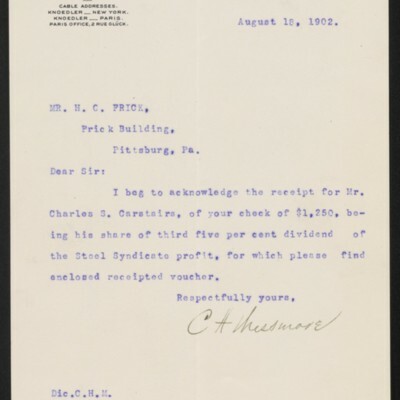 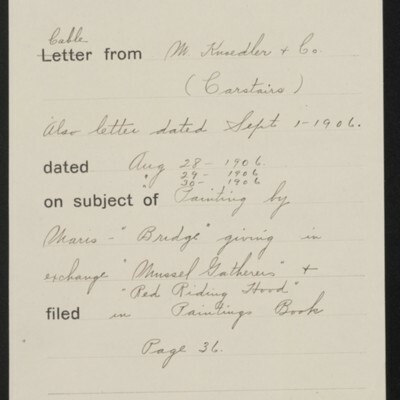 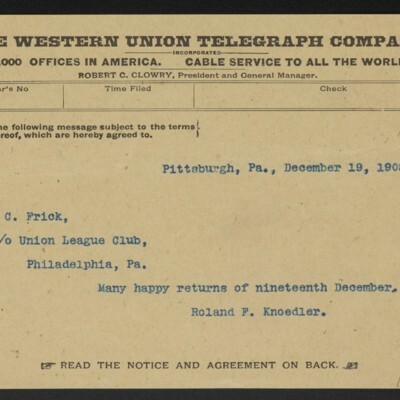 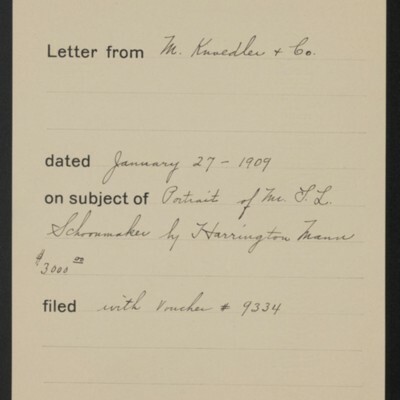 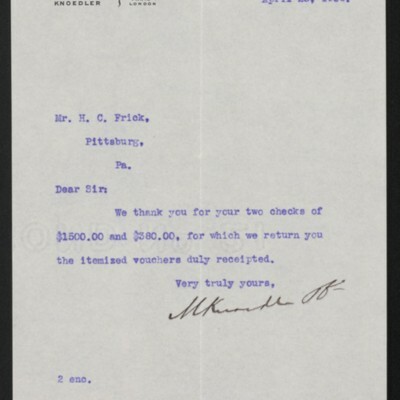 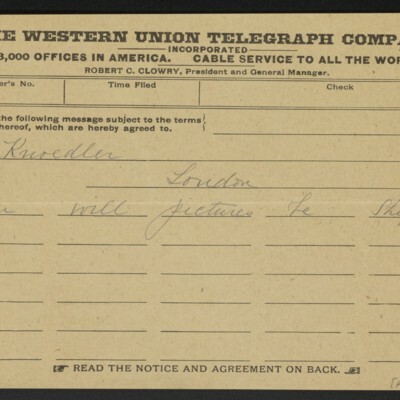 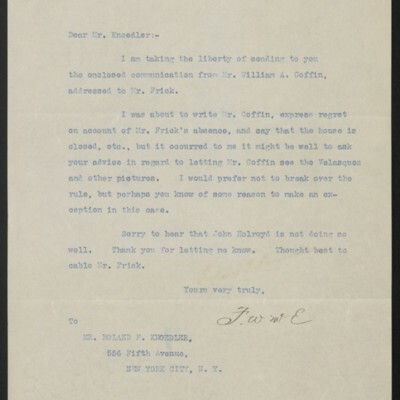 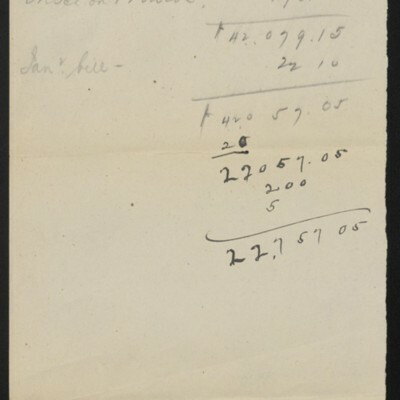 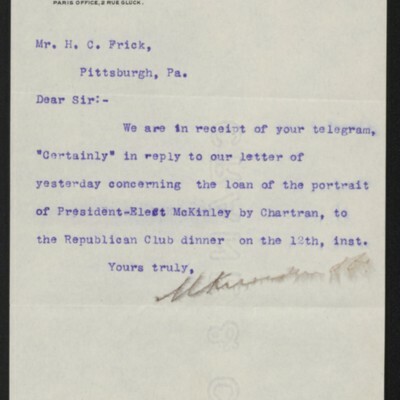 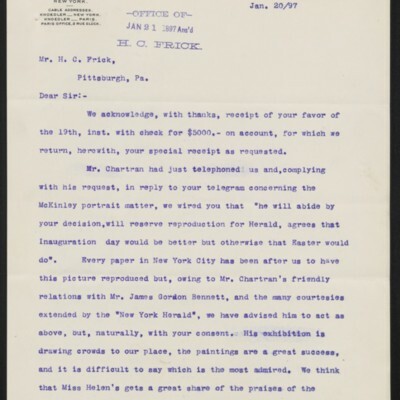 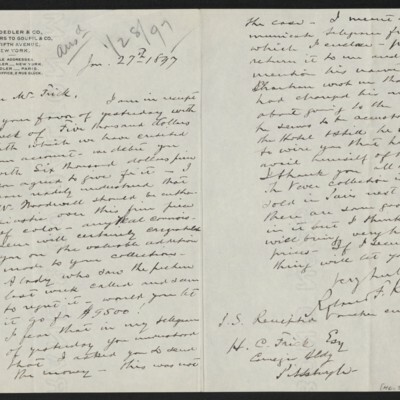 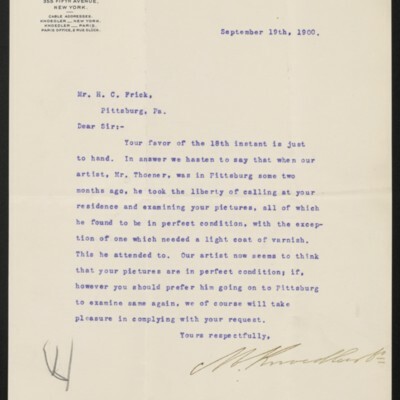 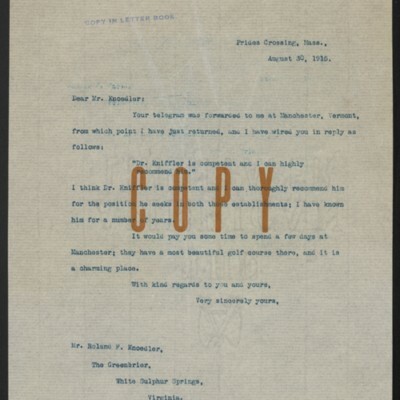 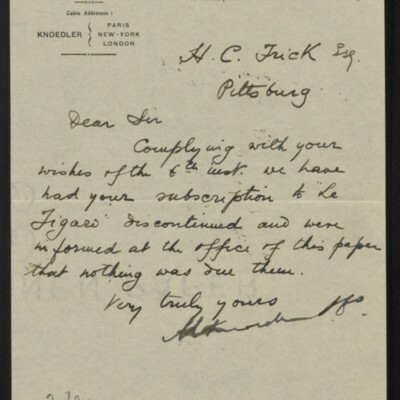 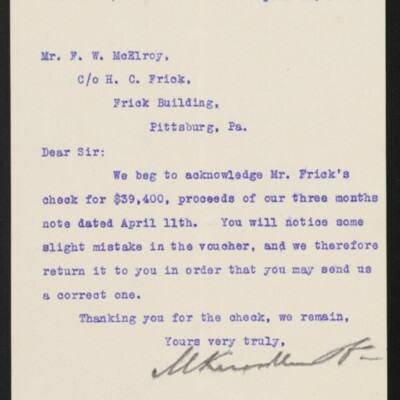 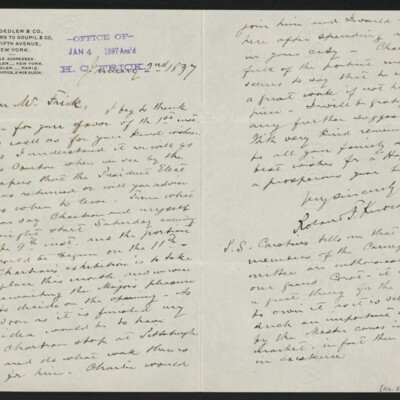 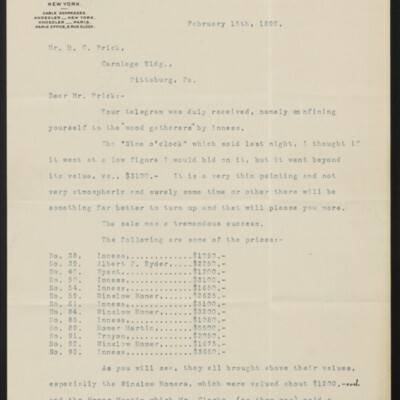 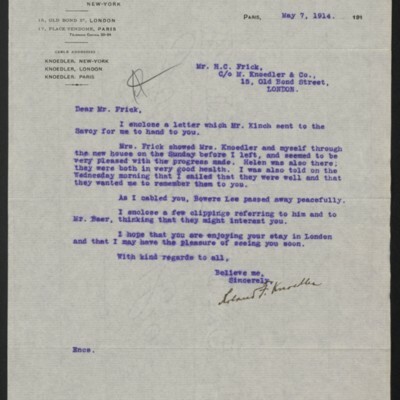 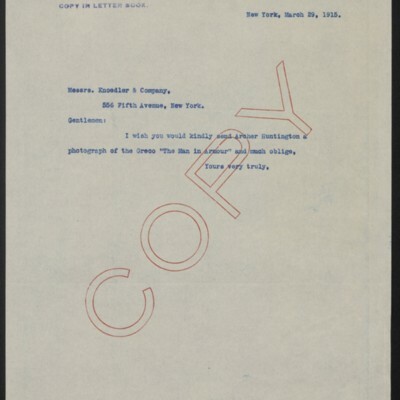 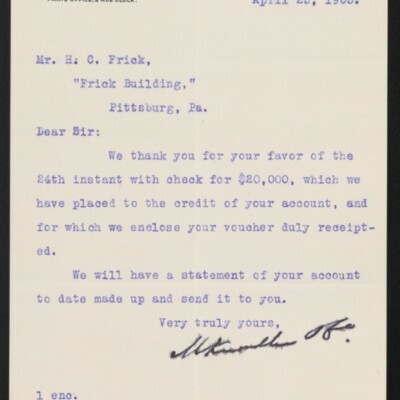 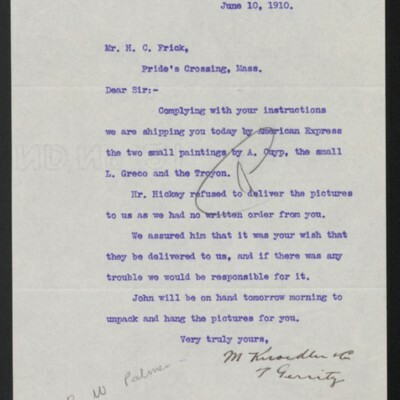 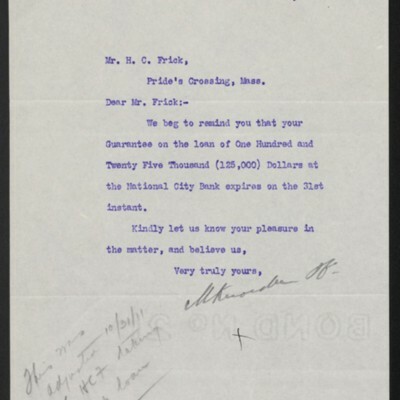 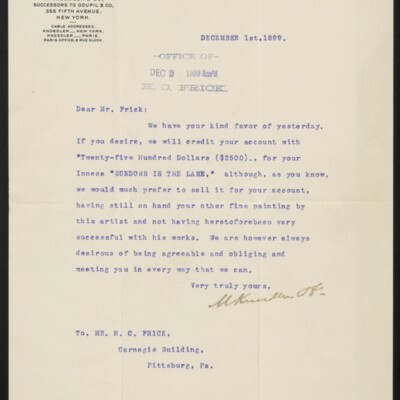 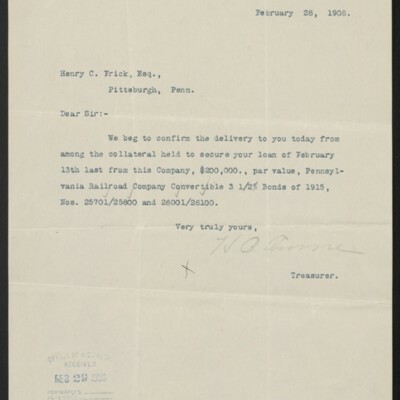 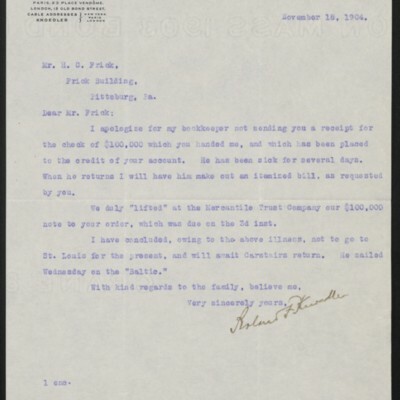 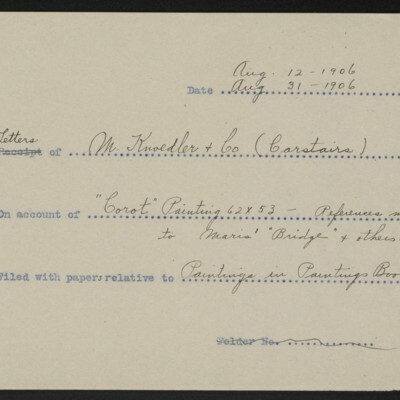 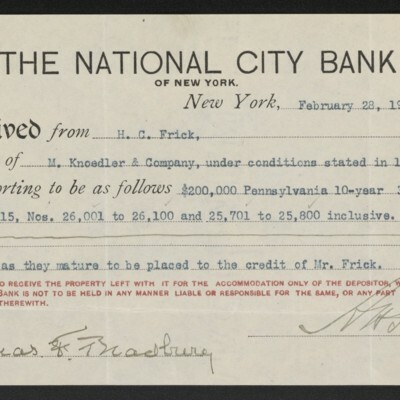 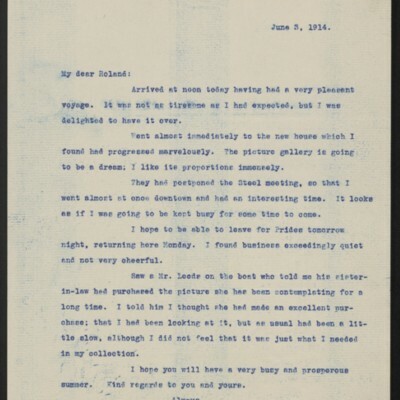 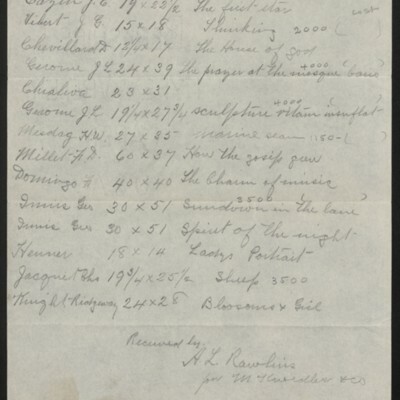 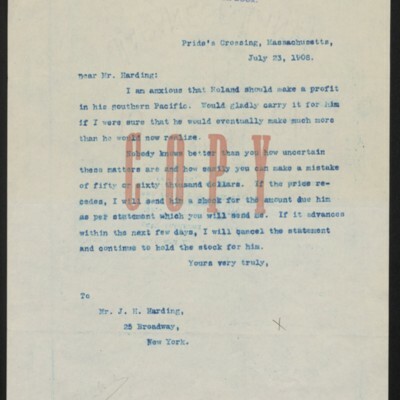 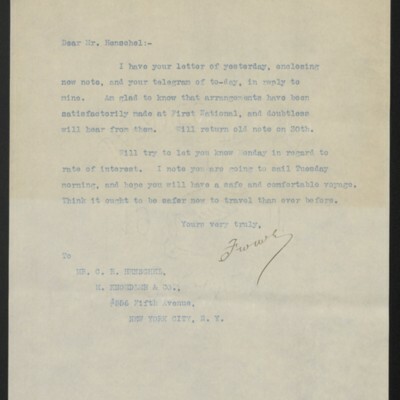 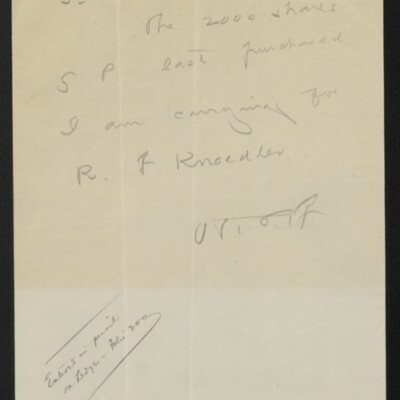 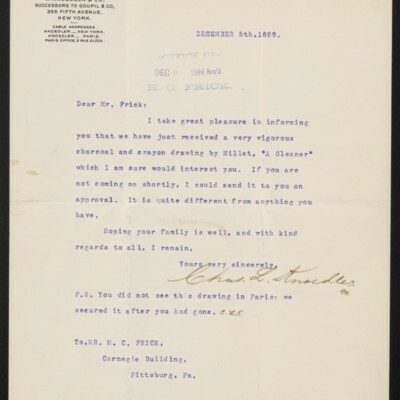 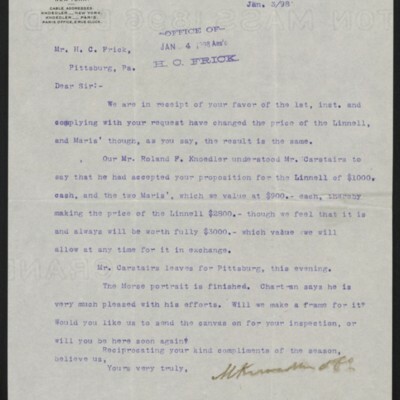 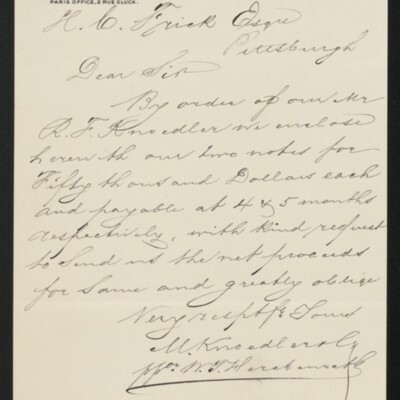 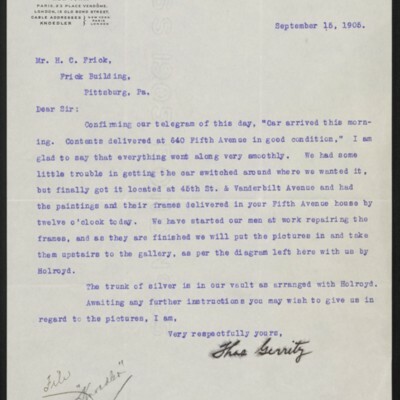 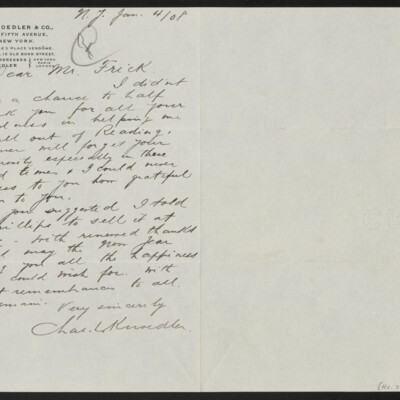 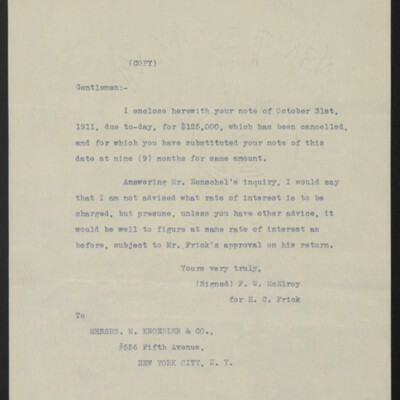 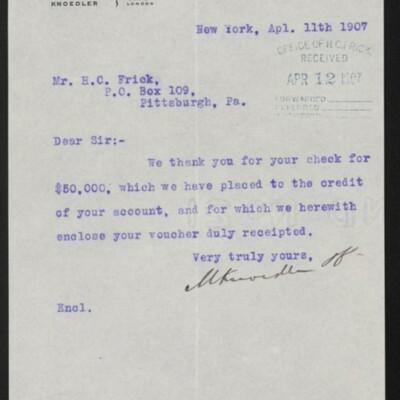 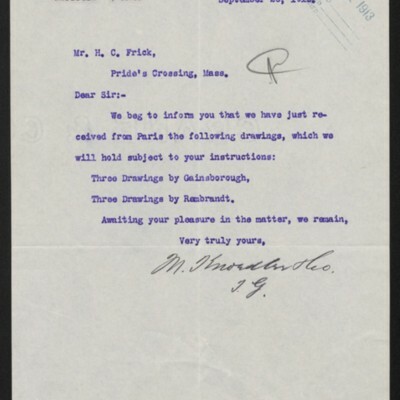 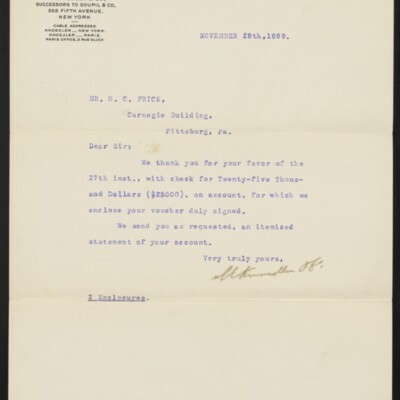 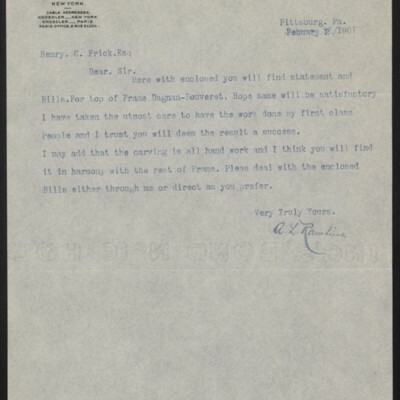 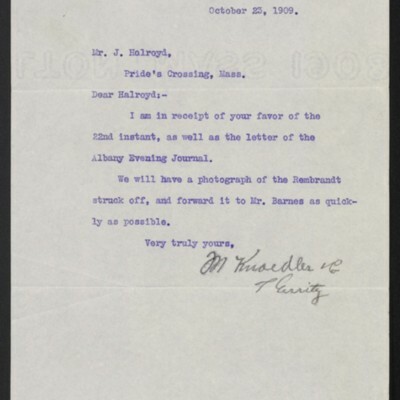 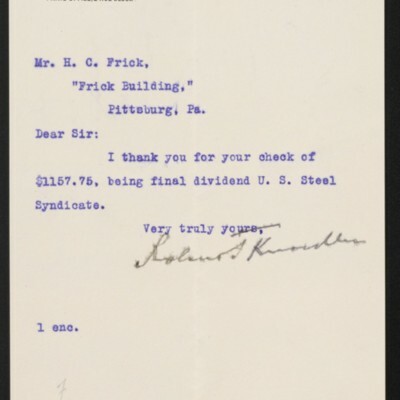 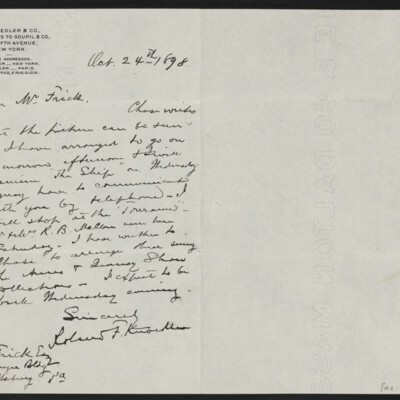 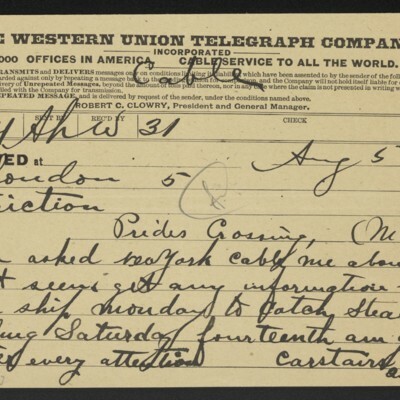 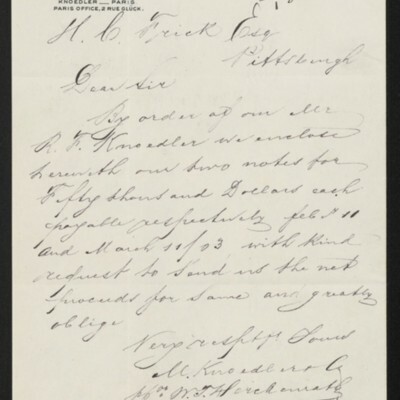 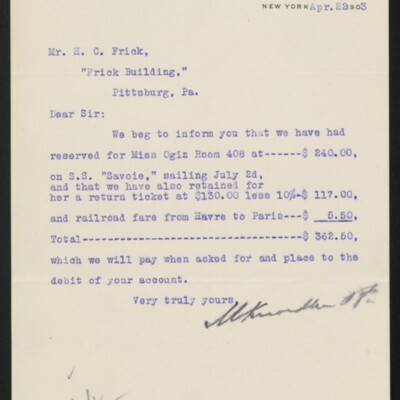 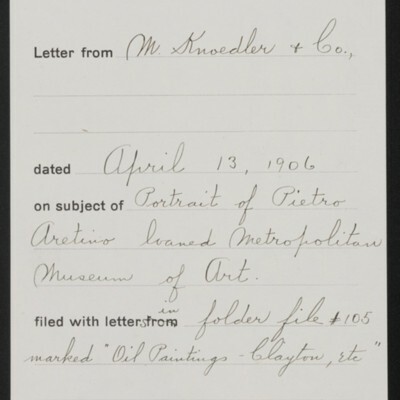 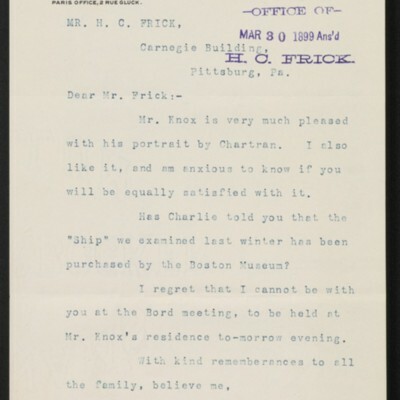 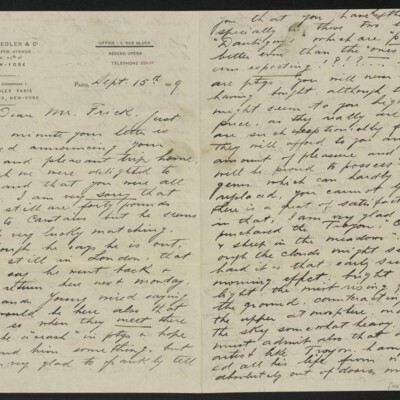 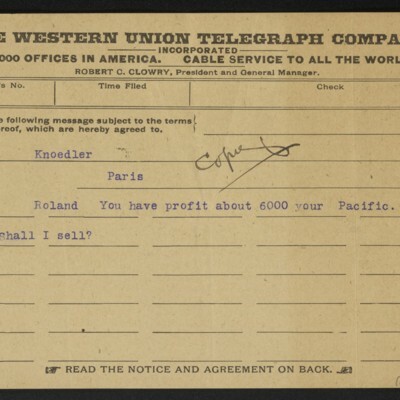 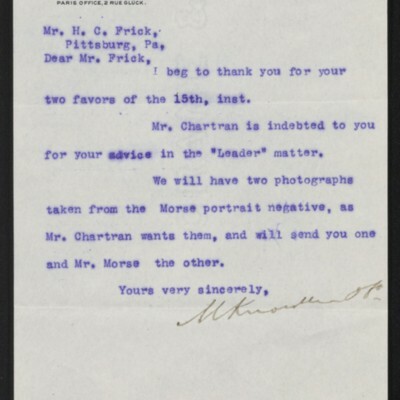 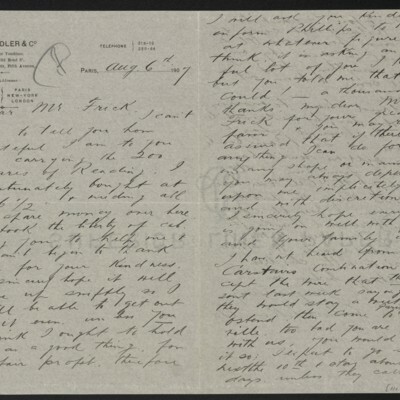 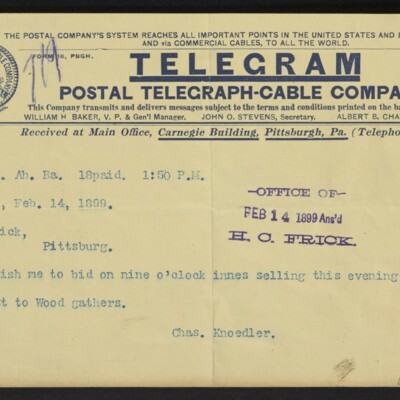 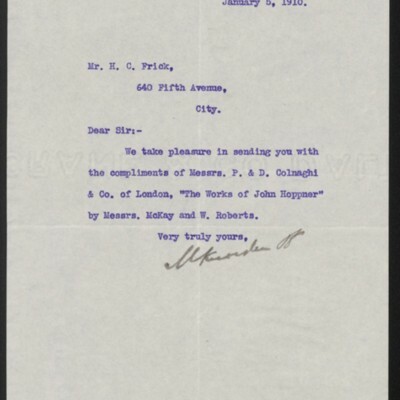 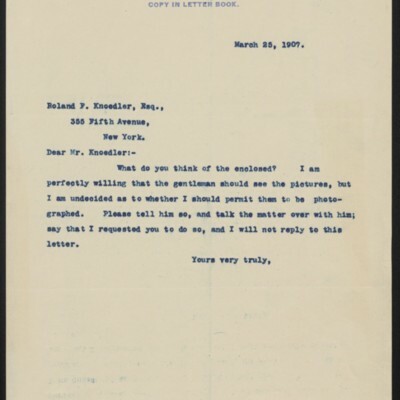 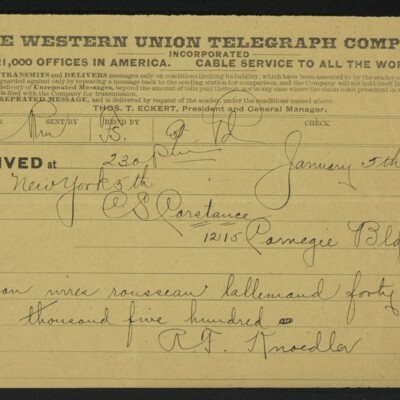 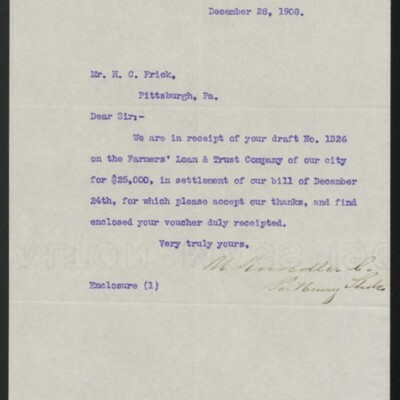 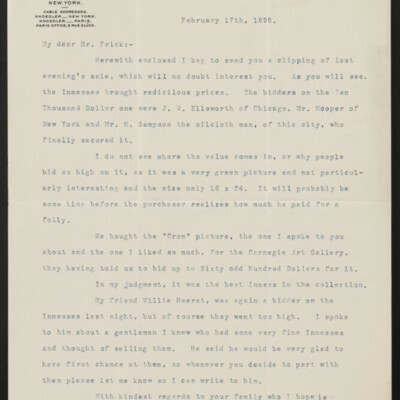 Frick’s correspondence with M. Knoedler & Co. dates from 1895 to 1919. 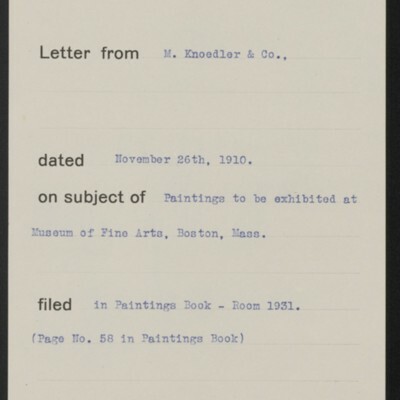 He purchased the majority of the art work in his collection from this firm, where his principal correspondents were Roland F. Knoedler and Charles Carstairs, although he also communicated with Charles L. Knoedler, Thomas Gerrity, C.R. 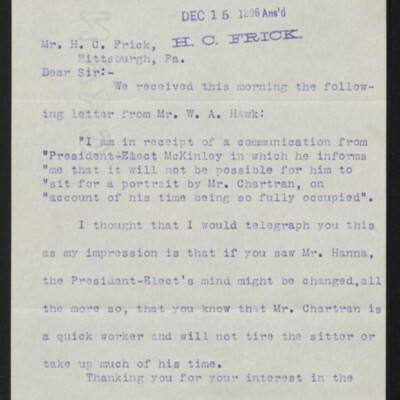 Henschel, and other representatives of the firm. 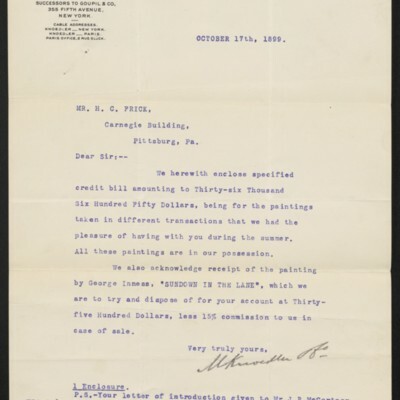 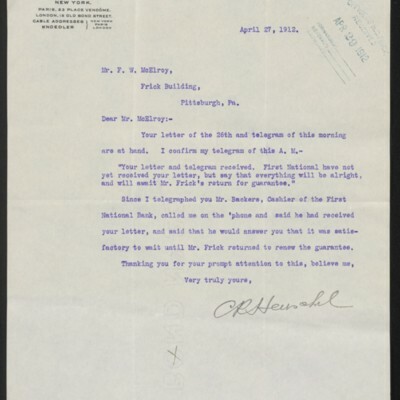 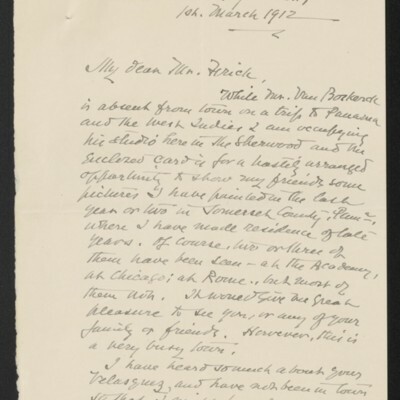 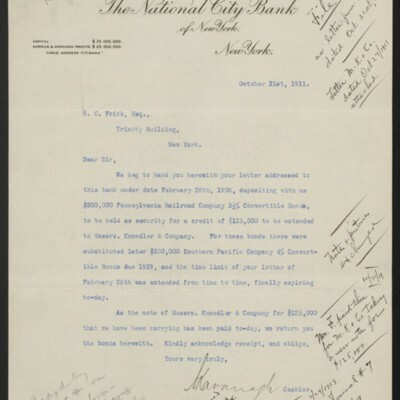 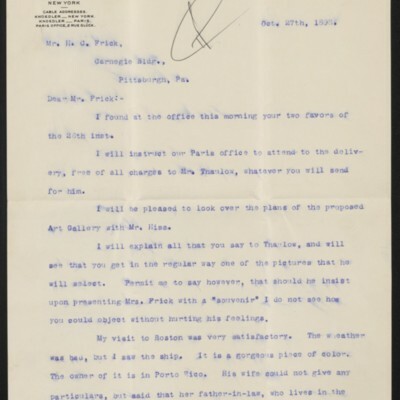 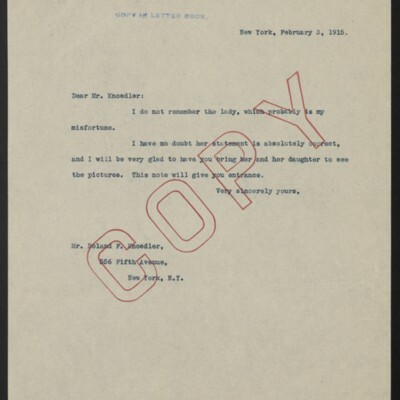 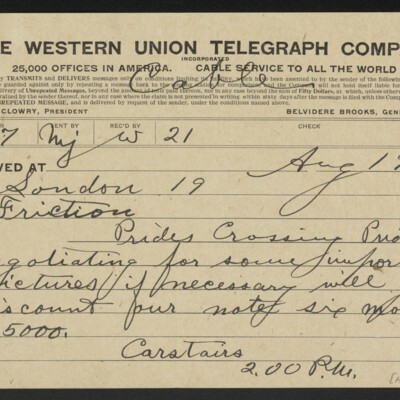 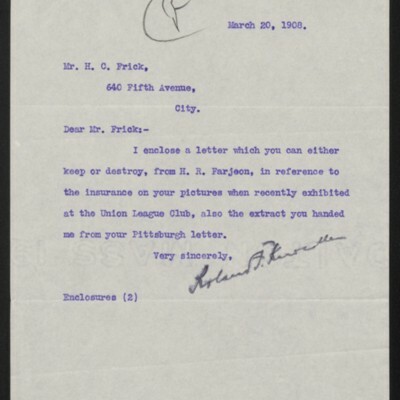 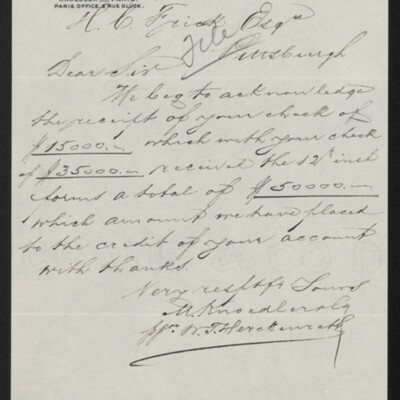 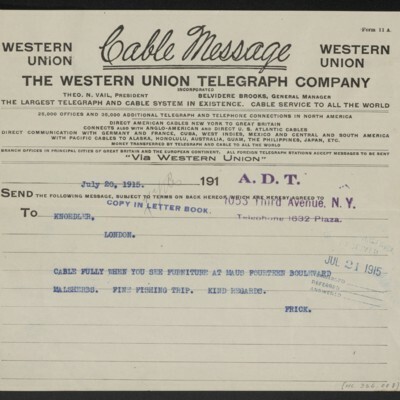 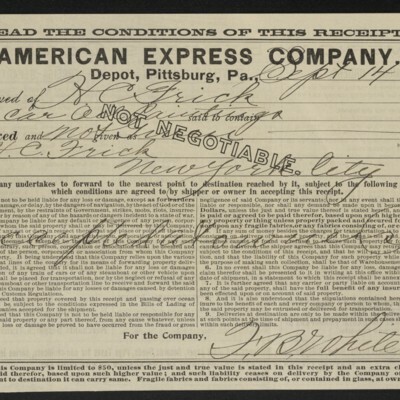 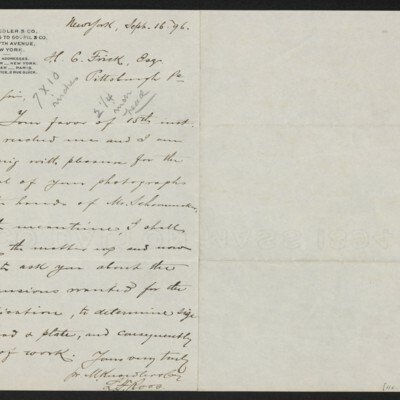 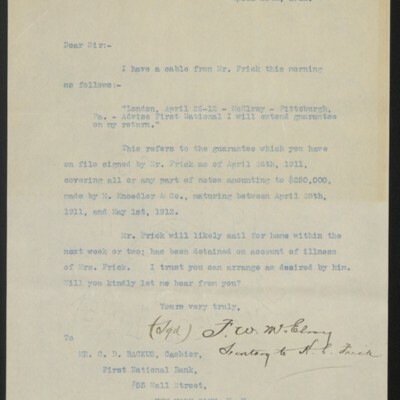 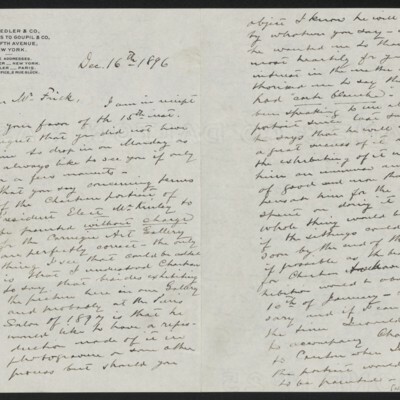 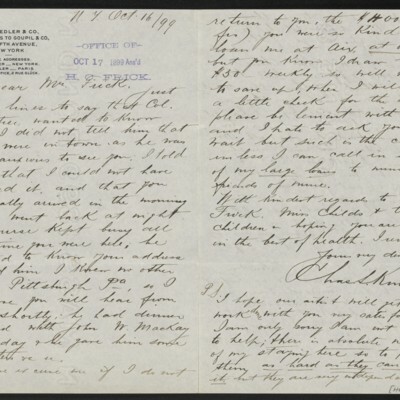 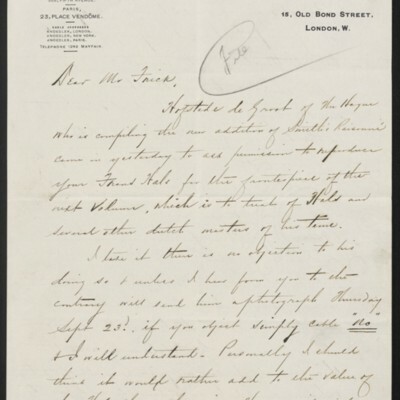 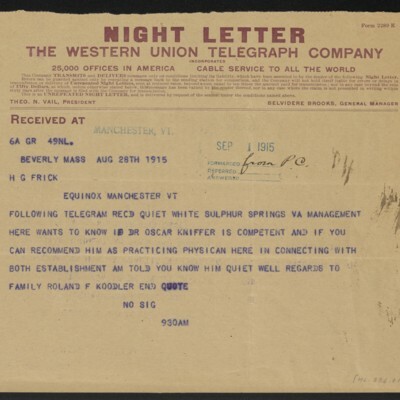 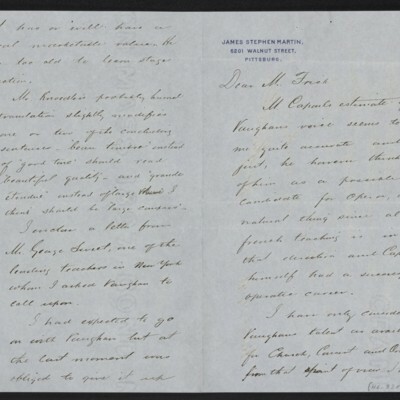 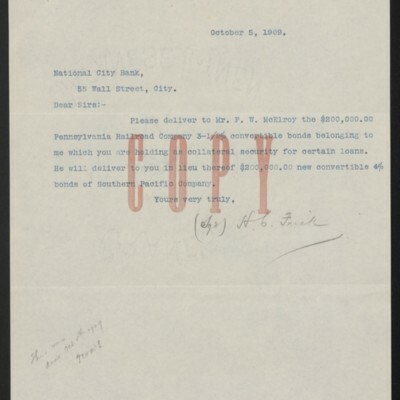 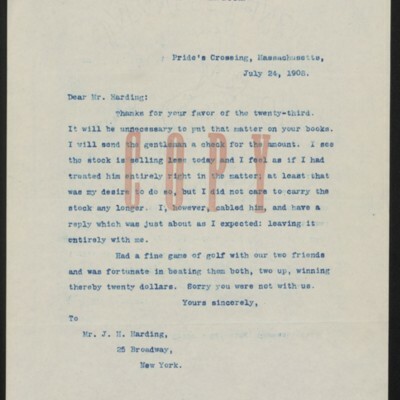 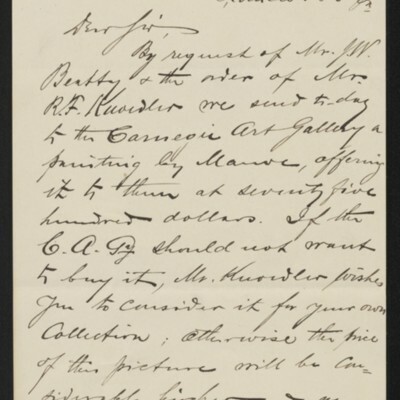 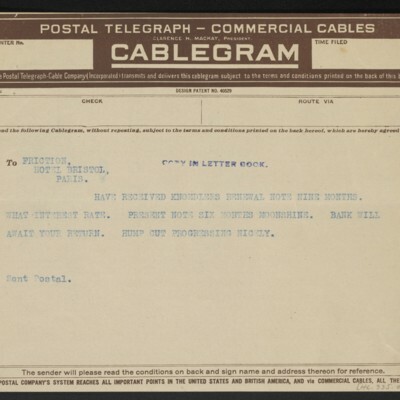 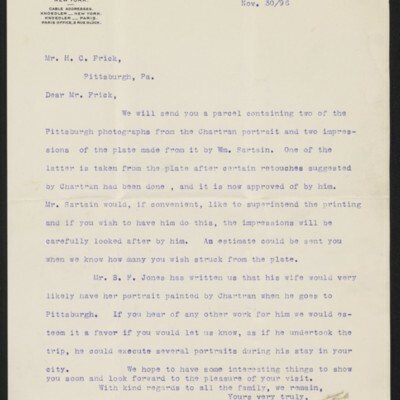 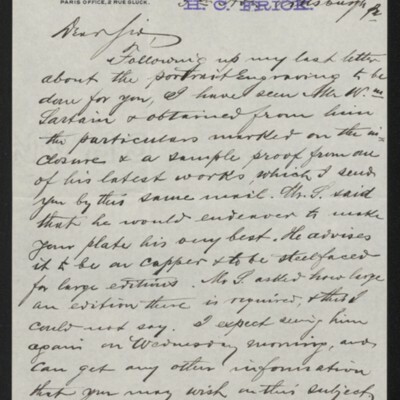 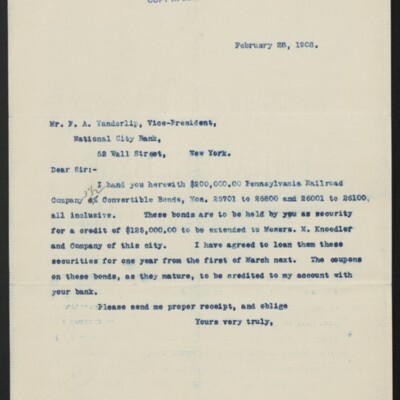 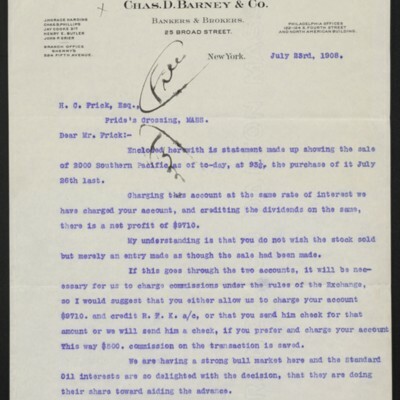 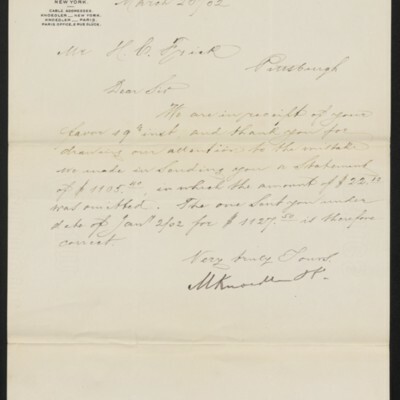 These letters discuss art works purchased or available for purchase, as well as loans for exhibitions, insurance and financial matters, and other topics. 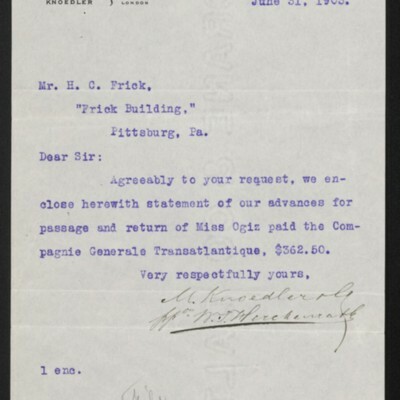 Frick’s secretaries, A. Braddel and F.W. 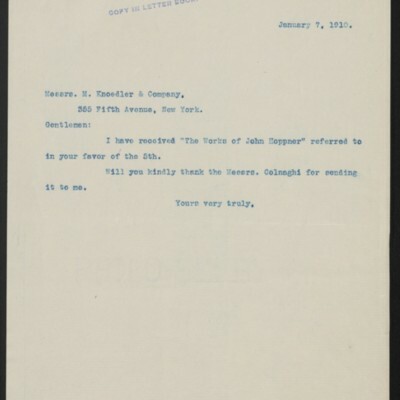 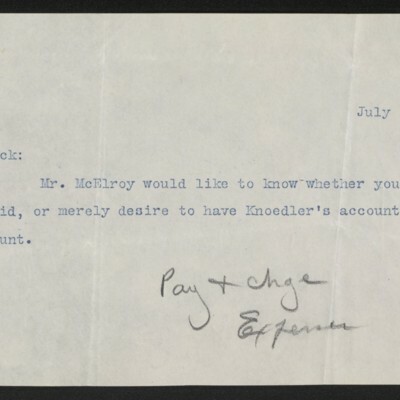 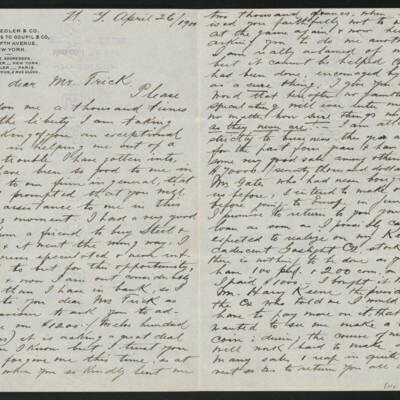 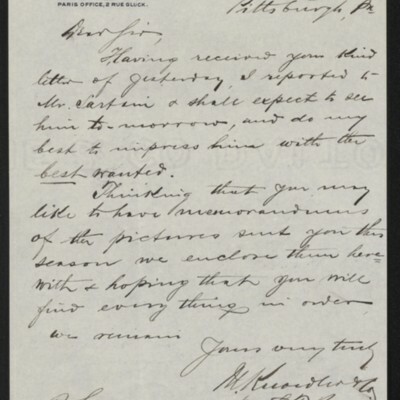 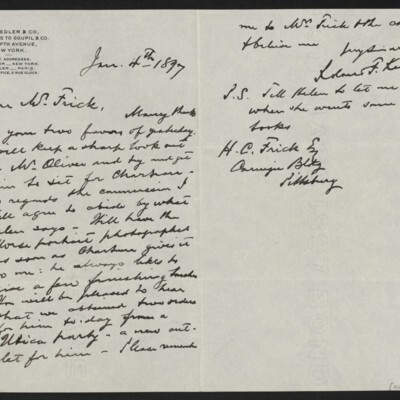 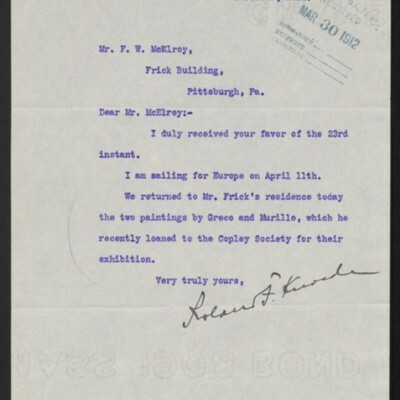 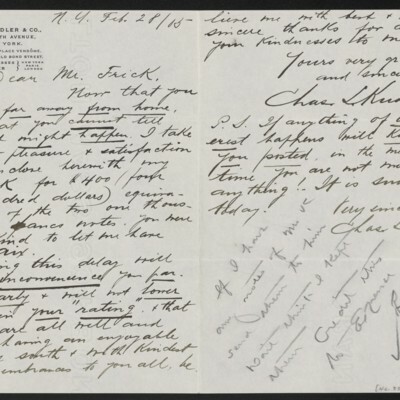 McElroy, and his steward, Joseph Holroyd, occasionally wrote to M. Knoedler & Co. on Frick’s behalf.